Over the weekend, a number of Northern Ireland runners have taken part in events at the notoriously difficult Ultra-Trail du Mont-Blanc festival in Chamonix, France. The action commenced on Wednesday (28th August 2013) when Ivan Sadlier (Unattached) completed the TDS (Sur les Traces des Ducs de Savoie), an 119km race with 7,250m of ascending. Ivan completed the course in 23:08:08 (133rd place). The race was won by Arnaud Julia Bonmatti (Team BUFF) in 15:09:59. Both the main UTMB and the CCC (Courmayeur-Champex-Chamonix) races started on Friday 30th August 2013, and due to the extreme nature of both, went through the night into Saturday 31st August 2013. The 101km (including 6,100m of ascending) CCC participants were first to finish, with Stephen Wallace (Murlough AC) leading the NI contingent home in 19:31:00 (259th place). Stpehen’s Murlough AC club mate Dominic McInearny (Murlough AC) followed in 20:19:42 (303rd place). Denise Mathers (Newry City Runners) produced arguably the performance of her life to finish in a brilliant 29th place in the ladies race, crossing the line in 20:38:38. BARF’s Jackie Toal missed a sub 24hr finish by an agonising eleven seconds, finishing in 24:00:11 (92nd place lady), while her BARF club mate Donal O’Kane ran 25:08:39 (964th place). The men’s race was won by Jordi Bes (Ski Girona Nobes) in 11:23:01, while Caroline Chaverot (Team Kikouro) took the ladies title in 14:12:00. In the even more gruelling UTMB main event, which saw competitors cover 168km (with 9,600m of ascending); Dale Mathers (Newry City Runners) and Billy Reed (East Antrim Harriers) were the first local finishers, crossing the line together. Dale’s official time was 34:22:40 (300th place) and Billy’s was 34:22:41 (301st place). Team Purple athlete Kevin Murdock crossed the line in 35:20:50 (360th place), before BARF’s Brian Linton finished in 40:35:31 (806th place). Cathal McGreevy (Team Purple) was the next familiar face to finish in 43:21:50 (1184th place). The race was won by Xavier Thevenord (Asics) in 20:34:57, with Rory Bosio (North Face) winning the ladies equivalent in 22:37:26. Special mention must also go to Ireland International Eoin Keith, a regular competitor in Northern Ireland and recent winner of the 26extreme Mourne Way Ultra and Energia 24hr Race; Eoin finished in an outstanding 18th place, recording 24:44:12. Full Results: UTMB Festival 2013 Results – Please Note: We are aware of several other NI runners who took part but are having difficulty getting information for them. Please get in touch if you know someone who was taking part in any of the above races. On Saturday 31st August 2013, veteran athletes from across Ireland descended on the newly re-opened Mary Peters Track in Belfast for the Northern Ireland Maters Athletics Association Track & Field Championships; the event also included the Athletics NI 10,000m (Track) Champions and was also ‘Open’ to visiting competitors. If any of the gathered spectators wrongly had the idea that the Veteran Championships would not be of a high standard, they were quickly put in their place when Beechmount Harriers’ former Olympian Paul McKee powered to victory in the 100m, clocking an impressive 11.46secs to win his Vet35 category. There were also 100m titles for North Down AC duo Roger Sexton (Vet40 – 11.85secs) and Debbie Matchett (Vet45 – 15.29secs), and Mid Ulster AC pair Padraig Martin (Vet40 – 12.94secs) and Patrick Forbes (Vet70 – 13.93secs). In the 200m races, Paul McKee (Beechmount Harriers), Roger Sexton (North Down AC), Patrick Forbes (Mid Ulster AC) and Debbie Matchett (North Down AC) completed impressive 100m/200m double gold medals; Paul won the Vet35 in 23:11secs, while Roger claimed the Vet40 title in 23:94secs. Patrick (Vet70) recorded 29.50secs and Debbie (Vet45) ran 32.72secs. City of Derry AC’s Robert Bigger topped the podium in the Vet55 category, winning in 28.35secs; Orangegrove AC’s Emma Smith won the Vet35 race in 30.75secs. Helen Stockdale (Clones AC) also picked up top honours in the 200m (Vet45), after crossing the line in 31.04secs. This put an end to what was an excellent day for the Northern Ireland international, who also collected category gold medals in the 800m (2:43.51), 3,000m (11:20.00), 400m (70.76secs) and the 1500m (5:23.51). Larne AC’s Geraldine Quigley won the Vet35 800m race in 2:40.13, before Annadale Striders’Mark Wright (2:08.31) was victorious in the men’s mixed category 800m race. After Newry AC’s Lee Maginnis had led out, Mark Wright and Adrian Boyle (Foyle Valley AC) managed to him on the final straight; leading to an exciting finish. Adrian and Lee were rewarded for their part in the race, with Adrian (2:09.22) winning the Vet35 category and Lee (2:09.56) taking the silver medal. In the same race, Larne AC’s Craig Hutchinson (2:16.16) won the Vet50 category and Manchester Harriers’ David Priestley won the Vet55 prize in 2:30.76. Lifford AC’s Natasha Adams was a class act in the ladies 3,000m race, leading from start to finish before breaking the beam to win in 10:10.70. Omagh Harriers’ Julie Butler (10:58.57) celebrated her return to the track with a Vet40 category win. The men’s 5,000m race was one of the most interesting to watch all day, with Barrie Atkinson (East Down AC), Gary Keenan (Orangegrove AC) and Paul McCafferty (City of Derry AC) all in contention until the latter stages when Gary and Paul moved clear. In the final 200m, Paul produced an excellent final kick to out run Gary; Paul crossed the line in 16:26.97 to win the race and the Vet45 category, while Gary was rewarded for his fantastic run with a life-time best of 16:29.98 and the Vet50 gold medal. Barrie followed in 17:12.49 (1st place Vet35), with North Down AC’s Terry Aiken (1st place Vet60 – 18:52.84) and Orangegrove AC’s Hugh Young (1st place Vet70 – 24:13.72) finishing just behind. Debbie Matchett (North Down AC) collected her third gold medal of the day in the 400m, winning the Vet45 category in 71.70secs; Vet40 Rosie O’Brien (City of Derry AC) crossed the line just over a second later (72.47secs), taking the category win. Shane Smith (Unattached) led the close men’s Vet40-Vet50 race home, thus sealing the Vet40 title in 59.48secs. Kieran McKeown (East Coast AC) followed less than a second later, recording 60.12secs (2nd place Vet40), before Craig Hutchinson (Larne AC) picked up his second gold medal of the day, sealing the Vet50 honours in 60.35secs. City of Derry AC’s Robert Bigger (59.48secs) won the Vet55 race which followed. The Athletics NI Senior 10,000m (Track) Championships followed, with James Brown (City of Derry AC), Nigel Grier (Dromore AC) and Paul Tempan (Unattached) toeing the line. James made his intentions clear from the off, moving clear of Nigel and Paul and maintaining a relentless pace throughout the race to secure victory in 33:57.75. Nigel followed in 36:33.93, while Paul claimed 3rd place in 47:55.56. Arguably the most competitive field of the day was the 1500m mixed race, which saw Mark Wright (Annadale Striders) add to his earlier gold medal in the 800m. The AAI National Champion edged out Foyle Valley AC’s Cathal McLaughlin (2nd place and 2nd Vet45 – 4:26.66) to win in 4:24.25, thus taking the Vet45 gold medal. Nigel McKibbin (Dromore AC) won the Vet40 top prize in 4:29.67, while Newry AC’s Lee Maginnis (4:40.24) and Larne AC’s Craig Hutchinson (4:44.93) took the Vet35 and Vet50 wins respectively. Vet 35 Natasha Adams (Lifford AC) was the first lady home in 4:56.01. Full Results: NIMAA T&F Championships 2013 Results (Please Note – These are PROVISIONAL results only and any errors will be rectified by organisers ASAP). We will also be adding Photographs from the event to our Photo Gallery in the coming days. On Saturday 31st August 2013, a number of Northern Ireland based mountain runners took on the World Mountain Running Association’s annual ‘World Masters Mountain Running Championships’ in Janske Lanze, Czech Republic. The race covered 8.6km and included 650 metres of ascending. Up against the world’s top masters mountain runners, the Northern Ireland contingent did themselves and the province proud. Ian Bailey (Newcastle AC), a man who has been in excellent form this season, recording several notable wins including a victory at the Slieve Donard Classic, claimed a top ten finish in his Vet35 category, clocked 45:04 (10th place). In the Vet50 category, Deon McNeilly (Newcastle AC) crossed the line in 45:40 (12th place) and was followed by club mates Barry Wells (56:31) and Eugene McCann (59:41) who claimed 40th place and 43rd place respectively. Peter Bell (Pegasus AC) covered the course in 1:03:18, taking 18th place in his Vet55 category, while Willie John Brown (BARF) recorded 1:06:16 to secure 47th place in his Vet60 race. Shileen O’Kane (Lagan Valley AC) was the leading Northern Ireland lady; the Hill & Dale series winner finished in a brilliant 55:40 (7th place Vet45). Shileen’s Lagan Valley AC team mate and friend, Hazel McLaughlin produced one of the performances of the day to seal 6th place in her Vet35 category after running 59:11, shortly before Anne Sandford (Lagan Valley AC) followed up her excellent performance at Slieve Bearnagh last weekend with another good run. Anne just missed a sub one hour time, finishing in 1:00:36, thus claiming 16th place in her Vet45 race. On Saturday 31st August 2013, nearly one hundred runners turned out for the well organised Ballinderry Bridge 10k road race (and associated 5k and family fun day). Perfect weather conditions complimented the scenic course which traversed County Derry/Londonderry and County Tyrone via the village’s two footbridges. City of Derry AC’s Chris McPeake returned after six months on the side-lines, having injured himself at the QUB 5k race in March 2013, to win in 34:10. Pierce McCullagh (Sperrin Harriers) continued his rise through the ranks, recording 34:18 (2nd place), before Erin McDaid (Ranleagh Harriers) took 3rd place in 35:51. Anne Paul completed an impressive double for City of Derry AC, claiming victory in the ladies race after breaking the tape in 39:35. Bronagh Hawe (Sperrin Harriers) made sure that the Sperrin Harriers club colours were also on both the male and female podium, taking 2nd place in 49:25, while Lisa Hegarty (Unattached) completed the tough course in 51:28. On Saturday 31st August 2013, hundreds of athletes descended on the scenic Silent Valley area of the Mourne Mountains, for the second annual running of the Dambusters 10/10, organised by Born 2 Run events. The event offered competitors the choice of 10 miles or 10k. In the 10 mile race, Newry City Runners star Don Travers dominated proceedings; the International man led from start to finish, securing victory in 1:00:27. Richard Coey (Ballydrain Harriers) showed no real signs of fatigue following his podium place in Killyleagh last night (Friday 30th August 2013) when he finished as runner up in 1:01:40, an excellent run considering the hilly course he had covered just over twelve hours prior. Mountain runner Eddie Hanna (Mourne Runners) announced his welcome return to competition with a 3rd place finish, clocking 1:03:07 for the distance. Karen Alexander (Sperrin Harriers) produced an excellent performance, leading the ladies home in 1:05:10 and finishing in seventh place overall. North Belfast Harriers’ Amanda Perry (1:11:42) took 2nd place, while Cheryl Denvir (East Down AC), winner of last night’s Killyleagh 5 mile road race last night, claimed 3rd place in 1:12:13. Mark McKinstry (North Belfast Harriers) showed his class in the 10k race. The ever improving Ballymena based athlete returned from several weeks out through injury to win comfortably in 37:48. Youngster, Patrick Sheridan (Newcastle AC) impressed with a 39:05 finish time, which was enough to take 2nd place; Peter Donnelly (City of Lisburn AC) completed the top three men in 39:07 (3rd place). In the ladies race, Joanne Mills (Unattached), a lady who won the Mill Hill Mile last year, celebrated victory in 41:27; Joanne will be one to watch in this year’s prestigious Mill Hill Mile, which takes place on Tuesday night (3rd September 2013). Virginia Ervine (Mourne Runners) secured another well-deserved podium finish at a Born 2 Run events race in 44:33 (2nd place), before Melanie Minshull (City of Lisburn AC) took 3rd place in 45:02. On Friday 30th August 2013, the weekend running action kicked off in Killyleagh (County Down), where East Down AC hosted the annual running of the Killyleagh 5 mile road race; nearly one hundred athletes turned out for the event. David McNeilly (Newcastle AC) continued the form that brought him victory at the prestigious Lurig Challenge two weeks ago, leading the field home in a speedy 27:37, an impressive time considering the course. Paul Woodman, “taking it easy” in preparation for Laganside 10k on Sunday (1st September 2013) claimed 2nd place in 28:07, before another man racing again this weekend, Richard Coey (Ballydrain Harriers) crossed the line in 28:22 (3rd place). Cheryl Denvir (East Down AC) produced an excellent performance in the ladies race, winning in a massive new personal best of 33:47. Unattached athlete Lisa Quinn followed in 34:29 (2nd place), while Dromore AC’s Susan Smyth continued her notable campaign with another podium finish, taking 3rd place in 35:18. Weekend Preview: Killyleagh, Belfast, Silent Valley, Derry/Londonderry and more…. As the weekend approaches, running enthusiasts in Northern Ireland will be looking forward to one of the provinces favourite road races, the Laganside 10k, which is hosted by North Belfast Harriers and this year, sponsored by Pure Running. Aside from the Laganside 10k (and associated children’s races), there will also be events in Killyleagh, Belfast, Silent Valley, Ballinderry and Derry/Londonderry. Northern Ireland athletes will also compete in Chamonix (France), Janske Lazne (Czech Republic), Offaly (Ireland) and Bedford (England). The action will kick off later tonight, Friday 30th August 2013, when East Down AC welcome athletes to the annual Killyleagh 5 mile road race in Killyleagh, County Down. David Simpson (Ballydrain Harriers), Richard Coey (Ballydrain Harriers), Paul Woodman (Orangegrove AC) and Ryan Andrews (Ballydrain Harriers) could be amongst the front runners. David Simpson is a class act, and will prove exceptionally hard to beat should he toe the line; the Ballydrain Harriers man won the recent Tollymore Trail Race in impressive fashion, having cycled to Newcastle (County Down) and completed a training run at Slieve Donard before racing later that morning. Despite the fact that he will be racing at the Dambusters event tomorrow (Saturday 31st August 2013), Richard Coey may start here as well, the new Ballydrain Harriers man has enjoyed a brilliant 2013, where he has worked his way from a consistent top ten finisher to an athlete worthy of regular podium finishes. He has achieved this at the Groomsport Half Marathon, Divis Mountain 10k, Castleward Challenge and Loughinsialnd 5.05m race amongst others. Paul Woodman finished as runner up at the difficult Svalbard Turn Spitbergen Marathon in Norway in June(2013) and has also enjoyed good outings in the 5 mile and 10 mile races in the Dublin Marathon series. Up and coming youngster, Ryan Andrews will be there or there abouts and could claim a top three finish depending on who turns out on the night. The ladies race could see East Down AC pair Catherine O’Connor and Cheryl Denvir battle it out at the front; both have been in excellent form, but based on recent performances at the Shore 10k two weeks ago, Cheryl should edge it on the night. Debbie Matchett (North Down AC), may also return to defend her 2012 crown; Orangegrove AC’s Liz Leitch will start and will be high in confidence after a brilliant outing on Rathlin Island last weekend, where she won the hilly 10k race. Also on Friday 30th August 2013, a number of Northern Ireland based athlete will take on events at the infamous Ultra-Trail du Mont-Blanc in Chamonix France. Ivan Sadlier (Unattached) completed the TDS (Sur les Traces des Ducs de Savoie), an 119km race with 7,250m of ascending on Wednesday (28th August 2013), while the remainder of the local athletes will race today. Dale Mathers (Newry City Runners), Fred Hammond (BARF), Cathal McGreevy (Team Purple) and Billy Reed (East Antrim Harriers) will take on the main UTMB race, which measures 168km in distance, with 9,600m of ascending. Denise Mathers (Newry City Runners), Donal O’Kane (BARF), Dominic McInearny (Murlough AC), Jackie Toal (BARF), Mark King (Newcastle AC) and Brian Linton (BARF) will all start in the CCC (Courmayeur-Champex-Chamonix) event. This race covers 100km, with 5,950m of climbing. Please see our article on the Ultra-Trail du Mont-Blanc below this Weekend Preview for full details on the event. On Saturday 31st August 2013, the Born 2 Run events road show will roll into the scenic Mourne Mountains, where the events management company will host their popular Dambusters 10k and 10 mile races around Silent Valley. Adam Boyd (North Belfast Harriers), Richard Coey (Ballydrain Harriers), Eddie Hanna (Mourne Runners), Seamus Lynch (Newcastle AC), David McNeilly (Newcastle AC), Mark McKinstry (North Belfast Harriers) and Alan Johnston (Murlough AC) could be the front runners here. The location of the event should attract a strong Newcastle AC squad, with Seamus and David likely to feature. Both have been running well recently, with Seamus claiming second place at the tough Mourne Seven Seven’s event two weeks ago. On the same day, David showed strength to win the Lurig Challenge in Cushendall. The talented pair could also be joined on the start line by friend and club mate David O’Flaherty (Newcastle AC). Adam Boyd returned to competition last week and put in good performances at the Athletics NI 5,000m race as well as the Moneymore 10k, finishing in second place at the 5,000m event and winning the 10k in Moneymore. Adam’s club mate Mark McKinstry performed well in the East Antrim Harriers trail series and also sealed an impressive victory at the Dalriada 5k Festival in Glenarm last month; if Mark has shaken off a recent niggle he will finish well up the field. Richard Coey showed his progression when taking second place at the Groomsport Half Marathon two weeks ago and he will be looking for another prize-winning performance here. If he (Richard) doesn’t race in Killyleagh on Friday night, the Ballydrain Harriers man should go into this race in brilliant shape. Mountain runner, Eddie Hanna will make a welcome return to competitive racing at this event. The decorated Mourne Runners star had been away from the sport for a while but has been training well of late; he will be one to watch here if he is race fit. Alan Johnston has notched up several podium finishes this year, the most impressive of which being at the Ballynahinch 10k at the start of the summer. Declan Teague (Newcastle AC), Patrick Sheridan (Newcastle AC) and Thomas Leitch (Orangegrove AC) will also run well. Karen Alexander (Sperrin Harriers) will make a welcome return for this event; the International lady suffered a fall whilst representing Ireland at the World Mountain Running Association ‘Long Distance Challenge’ in Poland at the start of August (2013) but will hopefully have recovered sufficiently to defend her 10 mile title from last year. Despite being touted as a possible starter in Killyleagh, Cheryl Denvir (East Down AC) will also run here, and having won the Shore 10k and Darragh Cross 10k, the talented lady should be a podium finisher. Other top ladies could include Virginia Ervine (Mourne Runners), Patricia McKibbin (Murlough AC) and Keri Fitzpatrick (Unattached). Also on Saturday 31st August 2013, Northern Ireland runners Roseanna McGuckian (City of Lisburn AC), Megan Marrs (City of Lisburn AC), Michael Mullan (Club Unknown) and Namphon Steele (Club Unknown) will represent Ulster at the U15 and U17 Track & Field Championships in Bedford, England; an event organised by England Athletics. European Youth Olympic Festival medal winner Roseanna will take on the 300m, while Megan will compete over 100m and 80m hurdles. Michael and Namphon will both enter the 100m and 200m. Information for Track & Field Championships preview taken from Athletics NI website. In Ballinderry (County Derry/Londonderry) on Saturday 31st August 2013, local football club Ballinderry Shamrocks will host the third running of theirBallinderry Bridge 10k. The tough but scenic race will centre around the river that separates County Derry/Londonderry with County Tyrone, with competitors crossing the rivers two foot bridges during the 6.2 mile event. The race is expected to attract local running enthusiasts but may also tempt a few top club runners, with the likes of Tommy Hughes (North Belfast Harriers), Karen Alexander (Sperrin Harriers), Chris McPeake (City of Derry AC), Gemma Turley (Springwell Running Club), Helena Quinn (Termoneeny Runners) and Aaron Meharg (Sperrin Harriers) all having previously taken part. At least eight Northern Ireland based runners will be in competition at the World Mountain Running Association’s annual ‘World Masters Mountain Running Championships’ in the Czech Republic on Saturday 31st August 2013. Ian Bailey (Newcastle AC), Deon McNeilly (Newcastle AC), Barry Wells (Newcastle AC), Willie John Brown (Mourne Runners), Peter Bell (Pegasus AC), Shileen O’Kane (Lagan Valley AC), Hazel McLaughlin (Lagan Valley AC) and Anne Sandford (Lagan Valley AC) will all perform well in the 8.6km race, which includes 650 metres of ascending. On the same day (Saturday 31st August 2013), Northern Ireland’s top veteran track runners will descend on the Mary Peters Track, Belfast for the NIMAA (Northern Ireland Masters Athletic Association) Track & Field Championships. The race programme will also include the Athletics NI 10k (Track) Championships. There is very little information available regarding this event, but we expect Helen Stockdale (Clones AC), Mark Wright (Annadale Striders) and Kieran McKeown (East Coast AC) to place well in their respective events. On Sunday 1st September 2013, the weekend’s biggest event, the Pure Running Laganside 10k will see thousands of athletes and spectators take to the roads and paths of Belfast for the very popular event, organised by North Belfast Harriers. The race programme will also include one mile races for children. Most of the provinces top runners are expected to compete for the coveted titles, which were won by Keith Purdy (Annadale Striders) and Julie Turley (Dromore AC) last year. Stephen Scullion (Clonliffe Harriers) will go into the race as strong favourite and the ex-North Belfast Harriers star should head the field. However, the AAI National 10k Champion will pursued by Brendan Teer (East Down AC), Connor Magill (North Belfast Harriers), Scott Rankin (Foyle Valley AC), Eamon White (North Belfast Harriers) and Conor Curran (North Belfast Harriers), to name a few. Stephen won the Fingal 10k (30:14) earlier this month and also produced an exceptional performance to take the aforementioned AAI National 10k title in Phoenix Park, Dublin earlier this summer. He (Stephen) will hope to break the thirty minute barrier on this course and will prove hard to move from the top spot. Brendan Teer has won no less than fourteen races in 2013, with the most notable being the Junior XC Championship in January 2013 and the East Down AC front man will be a willing chaser here. He’ll be joined by Scott Rankin, a man who made his big break on the scene in the very park (Ormeau Park) where this race starts and finishes (Seeley 10k 2012); on that occasion, Scott recorded 31:38 to secure a bronze medal in the Athletics NI 10k Championships. Since then, the Foyle Valley AC man has cemented his reputation as one of the country’s top athletes. In June, he (Scott) won the Jude Gallagher 10 mile road race in an outstanding 52:14. 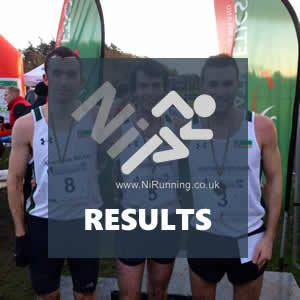 The North Belfast Harriers trio of Connor Magill, Eamon White and Conor Curran have also been in good form. Despite having missed several months of the season through injury, Connor Magill returned to win the Greyabbey 10k and Loughshore 10k. Last week, he also clocked 15:30 to win the Athletics NI 5,000m race at MPT. Veteran Eamon White rarely fails to impress; although he tends to race sparingly, Eamon is always in good shape when he turns out. In a quality field at the Lisburn 10k, he ran 33:11 to finish behind Patrick Hamilton and Keith Shiels in third place. Conor Curran picked up a silver medal at the recent AAI National Track & Field Championships in Tullamore; he has also recorded personal bests over 5 mile (26:41) and 10 mile (55:18) at Dublin Marathon series events in Dublin. Other top ten finishers could include Francis Marsh (North Down AC), Pius McIntyre (Foyle Valley AC), Paul Carroll (Annadale Striders) and Andrew Considine (North Belfast Harriers), while Mark Kendall (Newcastle AC), Stephen Wylie (North Down AC) and East Coast AC duo Justin Maxwell and James Brown will be hoping for high placings and personal bests. The ladies race will also bring a plethora of talent to the start line, with Finn Valley AC star Teresa McGloin due to start. Teresa narrowly missed a top ten finish at two massive events this summer, the Great Manchester 10k and the Great Ireland Run; she (Teresa) ran 34:40 and 35:41 in these races, although the latter was over a tough course in poor conditions. A personal best of 34:22 will make the Ireland international a sure bet for the ladies title. That will not stop the likes of Denise Toner (Clones AC), Julie Balmer (North Down AC), Rachel Gibson (North Down AC) and Ciara Toner (Springwell Running Club) from trying. All four have been running very well of late, with Denise celebrating victories in Enniskillen (10k), Lisbellaw (10k), Lisnaskea (10k) and Lisburn (Half Marathon). Julie Balmer has been a dominant figure in the Pure Running Half Marathon Series this year and also finished as first NI lady at the Belfast City Marathon. The North Down AC athlete has not placed outside the outside the top three in any of her road races this year and should find herself on the podium here. Julie’s club mate, Rachel Gibson, will return to the roads after an excellent track season, which included brilliant performances at the AAI Games and the Irish University Championships. In 2012, Rachel ran 41:36 for this course, but we expect her to smash that time this year. Ciara Toner won last week’s Downhill Demesne Trail Race in Castlerock and has also performed well at the Wilkies 5 mile road race, Inishowen Half Marathon and Purple Ladies 5k in the past few months; the ever improving Springwell Running Club lady will be hoping for a personal best here. Mountain runner, Diane Wilson (Dromore AC) could be a ‘surprise’ addition at the front; the International athlete has been in very good form on the mountains this year and won last week’s Slieve Bearnagh race despite having been ill in the run up to it. Diane also smashed the Seven Seven’s course record by over thirty minutes earlier this month. The sheer quality of the field makes for an exciting race, albeit quite difficult to predict top ten finishers; however, we would imagine that Diane Watson (City of Lisburn AC), Melssa Eccles (North Down AC), Catherine O’Connor (East Down AC), Claire Prenter (North Belfast Harriers), Allyson O’Toole (East Coast AC), Laura Bateson (Unattached) and Nikki Heywood (North Down AC) will all be in or around the top dozen ladies to experience the atmospheric finish within Ormeau Park. NiRunning’s Catherine Boyd will also be lining up in what will be her first official outing over the 10k distance! Also on Sunday 1st September 2013, City of Derry AC will welcome local track and field stars to the Templemore Sports Complex track for the NI & Ulster (Track) Relay Championships. The six hour programme will offer events for U13’s, U15’s, U17’s and Open grades with a variety of Relay races and also a 1 Mile event. The programme kicks off at 10.45am, entries have already been accepted online but will also be accepted at the track on Sunday from 10am. The distance/relays on offer include: 4x100m, 4x300m, 4x400m, 3x800m, Swedish Relays (1x100m, 1x200m, 1x300m, 1x400m), Sprint Medley (1x100m, 1x100m, 1x200m, 1x400m), Distance Medley (1x1200m, 1x400m, 1x800m, 1x1600m) and Mixed Relay (4x200m – MUST include two boys and two girls). NI & Ulster Championship status has been granted to the short and long sprint events as well as the 800m; organisers are hopeful that this will attract widespread interest from significant NI and Ulster clubs. This is an enterprising initiative and hopefully will be blessed with good conditions and good support. Event preview compiled with the assistance of City of Derry AC. Further afield on Sunday 1st September 2013, Seapark AC endurance specialists Gary Connolly and Gillian Cordner will take part in the Up and Over Marathon, an event that is held as part of a much larger charity attempt, the Up and Over Ultra Triathlon (further details can be found at www.upandovertri.com). The pair will join the fundraisers on the last day of their attempt for the 26.2 mile race through Offaly, Kildare, Laois. This is the only part of the overall charity event that is open to the public. Northern Ireland’s twelve parkrun events will also take place as normal, for more information on these, or to locate your nearest event, please visit our dedicated ‘parkrun’ section within our fixtures page. A number of Northern Ireland based athletes are currently in Chamonix, France for the infamous UTMB (Ultra-Trail du Mont-Blanc) festival, which includes three major races. On Wednesday 28th August 2013, Ivan Sadlier (Unattached) took on the TDS (Sur les Traces des Ducs de Savoie), a race that is considered to be wilder and more technical than the its sister events, the UTMB® and the CCC®, in the heart of the Aosta Valley and the two Savoie, this demanding race offers a new vision of the tour of Mont Blanc. The route will allow the discovery of the col de la Youlaz (2,661m) above Courmayeur, the “passage du Curé” or the sublime view of Mont Blanc from the col de la Gitte in the heart of Beaufortain. The TDS starts from Courmayeur with 119km and 7,250 metres of positive height gain. Ivan completed the gruelling race in 23:08:28 (14th place). Hannah Shields (City of Derry AC) was also due to participate, but as yet we have not heard how the City of Derry AC lady got on. The male race was won by Arnau Julia Bonmati (Buff) in 15.09:59, while Nathalie Mauclair (Club Unknown) won the female event in 17.36:41. CCC (Courmayeur-Champex-Chamonix): Created in 2006, it has become as popular as its big sister (45 nationalities represented in 2010). The CCC® is considered by many runners to be “the little one” nevertheless it too, constitutes one of the most difficult challenges in ultra-running. Do not take the CCC® lightly; more than one runner has “burnt” their thighs there. A semi-tour of Mont-Blanc, starting from Courmayeur with 100km and 5,950 metres of positive height gain and in semi-autonomy. Starting in the centre of Courmayeur Friday August 30th 2013 at 9:00 will be: Denise Mathers (Newry City Runners), Donal O’Kane (BARF), Dominic McInearny (Murlough AC), Jackie Toal (BARF), Mark King (Newcastle AC) and Brian Linton (BARF). UTMB (Ultra-Trail du Mont-Blanc, the original and Queen of the races! ): A complete tour of the Mont Blanc, passing through 3 countries: France, Switzerland and Italy, the race that every runner should finish at least once in their life. Le tour of Mont-Blanc, starting from Chamonix, with 168km and 9,600 metres of positive height gain. Starting, in the centre of Chamonix, on Friday, August 30th 2013 at 16:30 will be: Dale Mathers (Newry City Runners), Fred Hammond (BARF), Cathal McGreevy (Team Purple) and Billy Reed (East Antrim Harriers). On Tuesday 28th August 2013, hundreds of athletes and spectators descended on Gransha Grounds, Derry/Londonderry for the annual Dessies 10k road race, hosted by City of Derry AC. In good conditions, Foyle Valley AC’s Keith Shiels produced an outstanding performance in what proved to be an exciting race, sealing victory in a new personal best time of 30:59. Current Athletics NI 5k (Road) Champion Declan Reed followed in 31:05, before Scott Rankin (Foyle Valley AC) claimed a well-deserved podium place in 31:10. The ladies race brought an excellent battle between Springwell Running Club duo Gillian Wasson and Gemma Turley. Both ladies have enjoyed an excellent season so far, with Gillian impressing in the mountains and Gemma on the roads. Gillian and Gemma were joined at the front of the ladies field by Marina Campbell (City of Derry AC), who also looked in great racing shape. In the end, it was International mountain runner Gillian who took top honours, breaking the tape in an excellent 37:50. Marina secured a brilliant 2nd place finish in 38:36, while Gemma recorded 38:45 for 3rd place. On Saturday 24th August 2013, Seapark AC athletes Gary Connolly, Gillian Cordner, Leigh-Ann McCrum, Bobby Irvine and Gavin Irvine were joined by Steven Gibson (Unattached) and Trevor Denton (NICSAC) on Achill Island, where hundreds of competitors had arrived for the island’s annual Ultra Marathon (39.3mile), Marathon and Half Marathon. In the Ultra Marathon, Gillian Cordner secured an excellent 2nd place finish in the ladies race after clocking 6:14:50. Gary Connolly followed in 6:26:25 (10th place), before Trevor Denton finished in 6:50:46 (13th place). Leigh-Ann McCrum, who was stepping above marathon distance for the first time, crossed the line in 9:12:19 (4th place lady). The men’s race was won by Raymond Lanigan (Unattached) in 4:50:20, while the ladies title went to Unattached athlete and ultra-running specialist Col Conway (5:40:15). Bobby Irvine and Steven Gibson lined up in the Marathon, having completed the Longford Directors Marathon on Friday 23rd August 2013, Steven was taking on his 100th marathon. Bobby covered the distance in 3:47:41 (11th place), while Steven finished in 4:17:32 (26th place). The Marathon was won by Martin Francis (Unattached) in 3:00:52. Gavin Irvine took on the Half Marathon, and crossed the line in 1:57:44 (36th place); David Browne (Unattached) won the Half Marathon in 1:29:18. On Sunday 25th August 2013, Gary Connolly, Gillian Cordner and Steven Gibson showed no signs of fatigue from their Achill Island exploits as they joined hundreds of athletes, including fellow NI runners Geoff Smyth (Unattached), Greg McClure (North Belfast Harriers) and Barry Shanks (St Peter’s AC) on the start line of the Longford Marathon. Geoff led the NI contingent home in 3:07:54 (17th place), while the ever consistent Greg recorded 3:12:39; Barry Shanks crossed the line in 3:29:53 (43rd place). In what was her 25th marathon, Gillian Cordner recorded 4:05:41 (14th place lady) to finish ahead of friends Steven Gibson and Gary Connolly, who finished in 4:15:26 (128th place) and 4:16:29 (129th place) respectively. Kenyan star Freddy Sittuk won the marathon in 2:22:34, while Pauline Curley (Tullamore Harriers) secured the ladies top prize in 2:44:22. On Saturday 24th August 2013, Knockmany Runners hosted the third annual running of their ‘Conquer the Cairn’ trail race, which is held in Knockmany Forest, close to Clogher, County Tyrone. The tough and at times technical course measured 5 miles, with competitors reaching the summit of the ‘Cairn’ just after the half-way mark; however, they did not have much time to take in the stunning views of Clogher Valley before making their way downhill to the finish. Paul Barbour (Omagh Harriers) clocked up another win; Paul added to victories at the Strabane 10k, Killyclogher 10k and Dromore 10k over the summer, crossing the line in an impressive 31:44. He was followed into the finish by Monaghan Phoenix AC duo Shane Maguire (32:52) and James Clarke (33:32), who claimed 2nd place and 3rd place respectively. In the ladies race, Catherine McGirr (Club Unknown) dominated proceedings. The strong running athlete covered the course in 43:53. Alice Hannigan (Unattached) took 2nd place in 48:26, with Julie Wood (Unattached) completing the ladies podium in 49:09 (3rd place). On Saturday 24th August 2013, well over one hundred runners descended on the coastal town of Portrush for the North Coast 10k (and associated 5k) multi-terrain race, an event organised in aid of charity. At the front, Larne AC duo Wayne Morrow and Bernard Brady battled it out for top spot. The club mates swapped positions on several occasions before Wayne made a decisive move in the latter stages, surging clear as the pair made their way back from Ramore Head towards the East Strand finish line. Wayne broke the tape in 36:32, with Bernard following close behind (2nd place – 36:44), Adam Wilson (Unattached) claimed 3rd place in 37:17. In the ladies race, Gemma Turley (Springwell Running Club) celebrated another impressive victory; the in-form lady, who has won in Cookstown, Ballymoney and Dervock recently, crossed the line in 41:11 to win. Another Springwell Running Club athlete, Alison Rankin, also produced a notable performance, taking 2nd place in 41:15; Debbie Matchett (North Down AC) completed the ladies top three in 43:02. In the 5k race, Chris Denton (Springwell Running Club) completed the course first, clocking 18:20 to seal victory. Triathlete Rhodri Jones (Unattached) took 2nd place in 18:59, while Paul Burns (Unattached) recorded 20:10 for 3rd place. Andrea Proctor (Unattached) claimed the ladies top prize in 25:26 (1st place), with Unattached athletes Susan Wang (29:06) and Julie Ballentine (29:50) taking 2nd place and 3rd place respectively. On Tuesday 27th August 2013, City of Derry AC will host their annual ‘Dessies 10k’ road race in Gransha Grounds, Derry/Londonderry. The event looks set to attract a big entry with the online pre-entries nearing the one hundred mark and race day entries being accepted on site from 6pm, a two hundred strong field could be on the cards. The Dessies 10K road race has always been a popular local event and is seen by many as vital preparation for the annual Waterside Half Marathon which follows on Sunday 8th September 2013. Add the impact of the recent very successful Walled City Marathon and the weekly parkrun’s into the mix and it’s no surprise that runners of all abilities will be out in force on the night. The race commemorates the memory of a former Sparta AC club captain, the late Dessie McNulty and at 10k, the race offers a decent challenge to the regular runners and joggers, stepping up from the Spring/Summer diet of 5k’s or putting the final touches to their Waterside Half Marathon training programmes. Top local club runners such as Greg Roberts (City of Derry AC) and Scott Rankin (Foyle Valley AC) will race, both are also confirmed Waterside Half Marathon participants and should be among the front runners on the Gransha circuit tomorrow evening (Tuesday). Race HQ is at the U3A Foyle Building in the middle of the Gransha Park Grounds and entries will be accepted there from 6pm to 7pm on the night, in advance of the 7.15pm start. Online entrants can also pick up their race packs there and pay the £8/€10 entry fee. There are race t-Shirts available to the first 150 entrants so an early arrival will be essential to guarantee one of the much coveted Dessies 10k t-shirts. Competitive club runners will be out in force with significant numbers also expected from the likes of newly formed running groups such as Bolt, Reach and the Eglinton Road Runners as the local running boom continues to develop. Declan Reed (City of Derry AC), Emmett McGinty (City of Derry AC), Gary Slevin (City of Derry AC), Keith Shiels (Foyle Valley AC), Chris McGuinness (Foyle Valley AC), Pauric McKinney (Letterkenny AC) and Kenyan Freddy Sittuk, could all line up for the hottest men’s race in years. Winner of the ladies race in 2012, Teresa McGloin (Finn Valley AC), may fancy a shot at retaining her title. The second and third place finishers from last year Marina Campbell (City of Derry AC) and Gillian Wasson (Springwell Running Club) will return, with more top female performers expected on the night. With a £500 prize fund covering both the Open and Age Group categories available and local bragging rights up for grabs, a great nights racing is on the cards, excellently facilitated by the spectator friendly course. Please contact City of Derry AC for further information. On Sunday 25th August 2013, athletes from across the province took part in the annual Glenn 10k road race, which takes place on the roads in and around Lurganare and Dromantine close to Newry. Dermot Mathers (Newry City Runners), winner of the recent Mullaghbawn 10k and the Castle Ward Challenge 10k, celebrated victory after breaking the tape in 35:45. Alan Johnston (Murlough AC) continued what has been an impressive year, securing yet another podium place in 36:44 (2nd place); Stephen Quinn (Newry City Runners) took 3rd place in 37:53. Ciara Coffey (Club Pulse AC) has had a relatively quiet summer racing wise, but returned in style, claiming a well deserved win in 44:45. Jemma McGourth (Unattached), winner of the ladies race at Mullaghbawn (10k) two weeks ago, followed in 45:12 (2nd place), while local lady Patricia Brown (Newry City Runners) completed the ladies top three in 46:51 (3rd place). On Sunday 25th August 2013, nearly seventy runners competed in the Moneymore 10k, an event which took place in the beautiful setting of Springwelll House in the County Derry/Londonderry town, close to Cookstown (and/or Magherafelt). The scenic but tough course was undulating to begin with, then became more hilly in the latter part, before the competitors plunged down to the finish at the local sports field. Straight from the off, it was appearing that the race would be amongst several accomplished athletes, but in the end, North Belfast Harriers’ Adam Boyd showed his class, sealing an excellent win in 34:49. Blaidhan Glass (Unattached) followed in 38:33 (2nd place), before triathlete Bob Davison secured the final podium spot in 38:54 (3rd place). The ladies race proved to be a much closer affair, with City of Derry AC’s Anne Paul claiming victory in 38:51. The Purple Ladies 5k and Stunnerz in Runnerz 5k Champion had to wait for nearly four minutes for the next lady to cross the line, this was Lagan Valley AC’s Julie Murphy (2nd place – 42:22). Another Lagan Valley AC lady, Suzanne Higgins (nee McCormick), marked her return to competition after over a year away from the sport, with a 3rd place finish; Suzanne ran 43:18. On Saturday 24th August 2013, hundreds of athletes and spectators made the infamous boat journey from Ballycastle to Rathlin Island for the annual Rathlin Run, which since last year consists of two separate races, a 10k and a Half Marathon as opposed to the old one race format, a 10.8 mile challenge. Last year’s Half Marathon champion Phelim McAllister (Larne AC), returned to defend his title and was once again quickest over the tough undulating course. Phelim followed on from impressive outings at the Cookstown 5 mile Classic and the East Antrim Inter-Club Race to lead the field home 1:17:35, meaning that he retained his 2012 title. James Turtle (Ballymena Runners) claimed 2nd place in 1:18:15, before Orangegrove AC’s Thomas Leitch (1:23:04) replicated his 3rd place finish from 2012. Interestingly, Thomas covered the course over two minutes quicker this year. In the 10k race, Lochlainn Connolly (Unattached), a man who has enjoyed success on rather previously, took top spot in the men’s category after clocking a decent 39:17 for the tough course. Colm McGarry (Unattached) also dipped under the forty minute barrier, running 39:22 (2nd place); Jake Woods (Unattached) was happy with his 43:01 (3rd place), which ensured a top three finish. Not to be outdone by her prize-winning husband (Thomas Leitch), Liz Leitch (Orangegrove AC) led the ladies home in 46:05, winning comfortably. Unattached athletes and sisters Jill McLauglin (53:59) and Sandy Carr (53:59) crossed the line together and were awarded 2nd place and 3rd place respectively. Full Results: Rathlin Half Marathon 2013 Results and Rathlin 10k 2013 Results. Photograph used above courtesy of Mark Ramsey. On Saturday 24th August 2013, runners from across the province turned out for the 3rd annual running of the Loughshore 10k (and associated 5k fun run and walk) at Maghery Country Park in County Armagh. The flat and fast course attracted personal best hunters and fitness enthusiasts alike, and it was well-known Northern Belfast Harriers man Connor Magill who made best use of the favourable route; having put up with several injury setbacks throughout 2013, Connor proved that he is back to his best, leading the field home in 32:45. Conor was followed across the line by his North Belfast Harriers team mate, AAI National Half Marathon medallist Gladys Ganiel O’Neill, who claimed top spot in the ladies race and second place overall in a time of 34:45. James Budde (North Down AC), a man who has been impressing on the track over the summer, secured 2nd place in the men’s race after recording 35:06 for the distance; Charlie Leonard (Unattached) completed the top three men in 36:42 (3rd place). Heather Foley (Unattached) clocked 38:31, taking 2nd place in the ladies category ahead of Orangegrove AC’s ever consistent Louise Lemon (42:46) who claimed 3rd place. This weekend (Saturday 24th and Sunday 25th August 2013), five local athletes represented Northern Ireland at the CAU Inter-County Track & Field Championships in Bedford, England. Kerry Harty (Newcastle AC) cruised to victory in the 3,000m steeplechase, crossing the line in 10:23.33 to win by just over thirty seconds. Danny Mooney (Letterkenny AC) claimed a podium place in the men’s mile, recording 4:15.15 (3rd place) for the classic distance. The race was won by Dan Stepney (Sussex) in 4:14.26. North Down AC duo Curtis Woods and Adam McComb lined up in the 200m and 400m respectively; Curtis clocked 22.12secs (6th place) in the 200m heat won by Jordan Kirby-Polidore (21.03secs), while Adam ran 48.85secs in his 400m heat. The 400m heat was won by Kris Robertson (West District Scotland). Unfortunately, neither Curtis nor Adam qualified for the final. In the 800m, Aislinn Crossey (Newry AC) showed that even the best can have an off day; the up and coming star, who recently ran 2:03.93 for the distance at the European Junior Championships in Italy had to settle for a 2:12.45 (4th place). The race was won by Nicola Sanders (Buckinghamshire) in 2:06.67. Today, Sunday 25th August 2013 marks our NiRunning (Northern Ireland Running) website’s first birthday. Albeit very cliché, the year seems to have flown in! We would like to take this opportunity to sincerely thank each and every person who has supported the website; without you, the website would be nothing. In our first year, we have been totally overwhelmed by the support and kind words we have received. 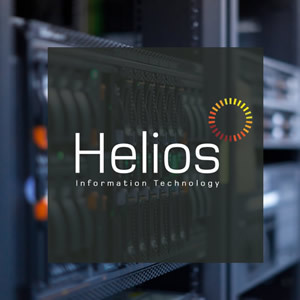 We have also had the pleasure of working with and meeting so many fantastic people (far too many to name) and have thoroughly enjoyed covering a wide range of running events, something that we will continue to do as we move forward. In the coming year, we plan to organise at least one more event to run alongside our flagship ‘NiRunning Mile’, this will more than likely be a road race. This will be the first step in our plan to introduce a race over road, mountain, track and trail each year. Thank you very much for your continued support. Remember, we also have a presence on social media, through facebook (NiRunning – Northern Ireland) and twitter (@NiRunning). On Saturday 24th August 2013, a number of Northern Ireland based athletes joined thousands of participants on the start line of the Frank Duffy 10 mile road race in Phoenix Park, Dublin (Ireland). The event, which is organised as part of the lead up to Dublin Marathon (Monday 28th October 2013) has a reputation for attracting top quality athletes from all over Ireland as well as the UK and beyond. Patrick Hamilton (Annadale Striders) led the NI contingent home in 51:05 (7th place), while North Belfast Harriers man Conor Curran continued his excellent run of performances with a massive new personal best of 55:17 (25th place). Conor’s club mate, Eddie Cooke (North Belfast Harriers), followed in 57:36 (49th place), before John Devlin (Annadale Striders) recorded 59:25 (77th place). Orangegrove AC’s Paul Woodman clocked a personal best of 59:43 (85th place). The race was won by Matt Gunby (Woodford Green AC) in 49:29, while Maria McCambridge (Letterkenny AC) claimed the ladies title in 56:28. On Saturday 24th August 2013, Northern Ireland based endurance athlete Justin Maxwell (East Coast AC) was in competition at World Skyrunning Series in Zermatt, Switzerland, where he took on the gruelling Matterhorn Ultraks 46k Ultra, a race that includes a total ascent of 3,600m (3,100m of altitude at highest point). The tough, technical but stunning course is said to be “one of the world’s most breath taking locations”, with the infamous Matterhorn dominating the skyline as competitors completed the four peak course. Up against the world’s top ultra-runners the NI International man produced an excellent performance, completing the distance in 6:13:15 (42nd place); an excellent achievement. The race was won by Kilian Jornet (Salomon Running Team) in 4:43:05, while Emelie Forsberg (Salomon Running Team) took the ladies title in 5:41:16. On Saturday 24th August 2013, Springwell Running Club welcomed athletes to their annual Downhill Demesne Trail Race, an event that takes place within the stunning Downhill Estate close to Castlerock on the North Coast. The 5 mile undulating and at times slightly technical course covers two laps and leads runners through the ruins of the estate’s house, providing an excellent backdrop for photographs. Last year’s winner, Allan Bogle (City od Derry AC) returned to defend his title, but on this occasion it was local man Neil Johnston (Springwell Running Club) who stole the headlines. The versatile youngster clocked 32:09 for the course, securing a notable win. Allan followed in 2nd place after crossing the line in 32:54, while winner of the Fivemiletown 10k earlier this week, Stephen Prentice (QUB/Enniskillen Running Club) took the final podium spot in 33:56 (3rd place). The expected battle between Springwell Running Club ladies Gemma Turley and Gillian Wasson did not take place; however, it was a Springwell Running Club lady who claimed the honours. Talented Ciara Toner broke the tape in 39:08 to win; accomplished triathlete and quality runner Julie Murphy (Lagan Valley AC) followed in 40:37 (2nd place), before Springwell Running Club’s Deborah Gilliland (3rd place – 40:57) increased the host clubs presence on the podium. On Saturday 24th August 2013, mountain runners from across the province took on the Slieve Bearnagh mountain race. The tough 3.8 mile course (with 2,680ft of ascending) started at Happy Valley and took competitors over the peaks of Slieve Meelbeg, Slieve Bearnagh and Slieve Meelmore, before finishing back at Happy Valley. As the competitors set off on the steep uphill start, Stephen Cunningham (Mourne Runners), Jonny Steede (Ballymena Runners) and Neil Carty (Northern Belfast Harriers) immediately moved to the front and were followed by a chasing group, which included Ballymena Runners trio Emmet McAlister, Alex Brennan and Jonathon McCloy. In the ladies race, Diane Wilson (Dromore AC) started strongly, as did Shileen O’Kane (Lagan Valley AC), Hazel McLaughlin (Lagan Valley AC) and Anne Sandford (Lagan Valley AC). As the race progressed, Stephen Cunningham gradually opened up a gap on Jonny Steede, using his fearless descending to his advantage. As the officials waited at Happy Valley, Stephen was the first runner into sight. The fast moving Mourne Runners’ man powered his way towards the finish, crossing the line in an impressive 45:30 to win. Jonny Steede followed just over two minutes later, recording 47:43 for the distance; North Belfast Harriers’ Neil Carty continued his excellent season with another podium spot, securing 3rd place in 49:32. In the ladies race, Diane Wilson ran well, showing great strength to lead the field home in 56:08. Fellow Northern Ireland International, Shileen O’Kane braved a heavy fall to cross the line in 59:11 (2nd place), while Anne Sandford just edged out her Lagan Valley AC club mate Hazel McLaughlin (4th place) to claim 3rd place in 1:05:23. This weekend will not only bring NiRunning’s 1st Birthday (Sunday 25th August 2013) but it will also provide a plethora of choice for running enthusiasts throughout the province, with no less than seven local events scheduled to take place. There will be a nice selection of terrain as well, with road, mountain, track and trail all on offer as races take place in Newcastle, Maghery, Castlerock, Knockmany, Moneymore, Newtown-Crommelin and Rathlin Island. Northern Ireland athletes will also race in Dublin (Ireland), Bedford (England) and Zermatt (Switzerland). In Newcastle (County Down), mountain runners will take on the Slieve Bearnagh Mountain Race, which starts at Happy Valley and takes competitors on a tough 3.8 mile route (with 2,680ft of ascending) over the peaks of Slieve Meelbeg, Slieve Bearnagh and Slieve Meelmore, before finishing back at Happy Valley. Jonny Steede (Ballymena Runners), a man in the form of his life at the moment will race, and will start as strong favourite to take the top prize. Two weeks ago, Jonny clocked the second quickest time ever on the infamous (19 mile) Seven Seven’s course in the Mourne Mountains, winning comfortably; when taking this and other notable performances into account, even Mourne Runners star Stephen Cunningham may find it difficult to defeat ‘the Steede’. Needless to say, Stephen will play a prominent part in proceedings, as he has done all season. The recently crowned Hill & Dale Series Champion never fails to impress and has notched up wins at the Commedagh Chase and Downhill Donard in the last four weeks. Seamus Lynch (Newcastle AC) finished as runner up to Jonny at the Seven Seven’s race and appears to be running extremely well, should he enter on the day, the Newcastle AC man will be in contention for a podium spot. David McNeilly (Newcastle AC), Neil Carty (North Belfast Harriers), Deon McNeilly (Newcastle AC) and Ballymena Runners trio Kevin O’Boyle, Emmet McAlister and Alex Brennan will also finish well up the field. David enjoyed an excellent victory at the atmospheric Lurig Challenge two weeks ago and was followed across the line by Kevin, Emmet and Alex, who claimed third, fourth and eighth place respectively; the three Ballymena men then completed a 1-2-3 at the Twin Peaks race in Cargan last Monday night (19th August 2013) with Kevin just pipping Emmet to the post, Alex took third place. Although he has been racing sparingly of late, Neil is a top performer who seems to enjoy courses with tough ascents and good runnable sections; his strength and speed will earn him a top placing here. Other top ten finishers could include Dale Mathers (Newry City Runners), Clive Bailey (Mourne Runners), Simon Reeve (North Belfast Harriers), Billy Reed (East Antrim Harriers) and Peter Grant (Newry City Runners). Diane Wilson (Dromore AC) and Shileen O’Kane (Lagan Valley AC) should dominate the ladies race; having smashed the Seven Seven’s course record a few weeks ago, Diane will be in high spirits. The Dromore AC lady has been in outstanding form recently, claiming good wins at the Donard Downhill race and Slieve Donard Classic amongst others. However, Shileen should never be ruled out, the versatile athlete has won the Lurig Challenge and a podium place at the Dervock Half Marathon in the last four weeks. The remaining podium place may be decided in a battle between three experienced and talented competitors, namely Anne Sandford (Lagan Valley AC), Denise Mathers (Newry City Runners) and Violet Linton (LVO). All three are regular prize-winners and capable of challenging at the top on their day; Denise has recently conquered the Mourne 500 Challenge, while Violet claimed third place at the Mourne Way Ultra in June 2013. Anne had a good outing at the Snowdon International last month, whilst representing Northern Ireland. Also on Saturday 24th August 2013, Springwell Running Club will welcome athletes to their annual Downhill Demesne (5 mile) Trail Race, which is held in the scenic Downhill Estate close to Castlerock, County Derry/Londonderry. Last year’s winner, Allan Bogle (City of Derry AC) should return to defend his title; Allan has the ability to mix it with the best over any terrain, proof of this is his performances (and subsequent top three placings) at the Antrim 5 mile road race, Castlewellan trail race and Binnian ‘to the top’ mountain race. Glenn Donnelly (Sperrin Harriers), one of the men behind the very successfully Cookstown 5 mile road race and Cookstown Half Marathon, will also be there or there abouts. The Sperrin Harriers man should claim a top three spot. Jack Neeson (Ballymena Runners) may also compete and should run well if he does, the Ballymena man helped his club to second place at this week’s East Antrim Inter-Club Race, he also won the Dervock Half Marathon last month, in what was his first attempt at the distance. Jason Wilson (Ballymena Runners), Mark Alexander (Ballymena Runners), Nicki McPeake (Unattached) and Billy Orr (Springwell Running Club) will also be hoping for good runs. The ladies race could see Springwell Running Club team mates Gemma Turley and Gillian Wasson line up against each other. If so, this will be an interesting dual; Gemma has been ripping up the roads of late, winning nearly every race that she takes part in, this includes top prizes at the Dervock 10k, NFU Mutual 5 mile road race and the Cookstown 5 mile Classic. However, Gillian has really impressed in the mountains this year and will really excel over this course. The International mountain runner also led her Northern Ireland team mates home at the Snowdon International race in July (2013) and more recently, finished in second place at the Lurig Challenge, where she climbed very well. Anne Paul (City of Derry AC), winner of the Purple Ladies 5k and the Stunnerz in Runnerz 5k at the start of the summer could be another challenger, as could Karen McLaughlin (Springwell Running Club), who took a well-deserved podium place at the Dervock Half Marathon to accompany her numerous category wins this year. Helena Dornan (Ballycastle Runners) and Ballymena Runners’ Shelley Tomlins, Sharon Harvey, Linda Petticrew and Sandra Clements will also finish well up if the enter on the day. On the same day (24th August 2013), a large number of Northern Ireland runners will endure the at times, slightly ropey, boat journey to Rathlin Island for the annual Rathlin Run (10k and Half Marathon), organised by Belfast Activity Centre. Despite numbers appearing to have dropped significantly since the traditional 10.8 mile challenge was changed to a Half Marathon and 10k, there should be a good turn out this year. Last year’s Half Marathon winner Phelim McAllister (Larne AC) will return to defend his title; Phelim has been running well and produced very good performances at the Cookstown 5 mile Classic and the East Antrim Inter-Club race as well as the Lurig Challenge, so will go into the race with confidence. Mark Walker (Unattached) finished as runner up to Phelim last year, but will return a much more accomplished athlete this year. Mark has been a fast improver this year and is currently winning his category in the Pure Running Half Marathon Series, the unattached athlete clocked a seasons best of 1:21:53 to finish in fifth place at last week’s Groomsport Half Marathon. James Turtle (Ballymena Runners) and Thomas Leitch (Orangegrove AC) will also run well, while Patricia Campbell (Omagh Harriers), Claire Martin (Unattached) and Briege Cecil (Unattached) should contest the ladies 13.1 mile event. Kieran Murphy (Unattached), Mark Colhoun (Unattached), Elizabeth Leitch (Orangegrove AC), Eileen Jack (Unattached), Sheelagh O’Malley (Unttached) and Claire Linton (Unattached) will all take on the undulating 10k course. The annual Loughshore 10k and associated 5k fun run will also be held on Saturday 24th August 2013. Now in its 3rd year, the increasingly popular race, which starts in Maghery Country Park, County Armagh covers a flat and fast scenic course and attracts runners of all abilities. Adam Boyd (North Belfast Harriers) won the race in impressive fashion last year, crossing the line approximately three minutes ahead of his closest rival; having returned to competition this week at the Mary Peters Track, where he claimed a second place in the 5,000m race, Adam could well use this race as another step in his much anticipated comeback. Likewise, his club mate, Connor Magill could also see this race as another opportunity to test himself as he returns to full fitness after some time on the sidelines. Connor beat Adam at the aforementioned 5,000m race at the Mary Peters Track on Tuesday night (20th August 2013). Paul Nesbitt (Unattached), Neal Skelton (Marathon Club Ireland), Sean Goodman (Newry City Runners) and Ryan Armstrong (Ballymena Runners) should also toe the line. The ladies race may see the return of Karen Alexander (Sperrin Harriers) after the International athlete suffered a bad fall whilst representing Ireland at the World Mountain Running Association ‘Long Distance’ Challenge in Poland last month. Karen has been resting up since and has hopefully made a full recovery. Ciara Coffey (Club Pulse AC) could be another top entrant, and should Karen decide not to race, the onus will be on Ciara to set the pace, something that she is well capable of doing. Diane Watson (City of Lisburn AC) and Anne Killen (Unattached) may well compete and will challenge for a podium spot should they do so. In County Tyrone, trail running enthusiasts will descend on Knockmany Forest Park for the ‘Conquer the Cairn’ 5 mile race, an event that attracted over fifty competitors in 2012. Fivemiletown 10k runner up Fergus McGirr (Enniskillen Running Club) may start and could be joined on the line by the likes of Michael Kerr (Carmen Runners), Robert Wilson (Willowfield Harriers), David Somerville (Enniskillen Running Club), Ciara Coyle (Carmen Runners), Liz O’Brien (Unattached) and Mairead McAleer (Carmen Runners). Also on Saturday 24th August 2013, North Belfast Harriers duo Conor Curran and Eddie Cooke, Annadale Striders’ Patrick Hamilton and Clonliffe Harriers’ Stephen Scullion will travel to Dublin for the Frank Duffy 10 mile road race, which will take place within the confines of the scenic Phoenix Park. The race is part of the official build-up to the Dublin Marathon (Monday 28th October 2013) and is expected to attract several thousand participants, including athletes from the UK and a good number of Northern Ireland based runners. Both Conor and Eddie have been in good form recently, Conor has recorded numerous personal bests this season and picked up an AAI National silver medal (in the 5,000m) at last weekend’s Championships in Tullamore (Ireland). Eddie claimed a podium place at the Portaferry 10 mile road race last month. Patrick has won the Craigavon Lakes 10k, Bann 10k, Lisburn 10k and finished as runner up in the Fingal 10k and Glemore 5k in the within the last twelve weeks and is looking in good shape as he builds towards the Dublin Marathon. Stephen has had an excellent 2013, with his most notable achievement coming on the same roads of this Phoenix Park course when the NI man picked up the AAI National 10k title at the Great Ireland Run back in April 2013. Further afield, Justin Maxwell (East Coast AC) will complete his World Skyrunning Series campaign in Zermatt, Switzerland, where he will take on the gruelling Matterhorn Ultraks 46k Ultra, which includes a total ascent of 3,600m (3,100m of altitude at highest point). The tough, technical but stunning course is said to be “one of the world’s most breath taking locations”, with the infamous Matterhorn dominating the skyline as the expected 1,500 competitors cover the four peak course. Interestingly, the Matterhorn is the world’s most photographed mountain and organisers offer spectators the opportunity to watch the race in several ways, including helicopter trips. A team of five Northern Ireland athletes will travel to the McCain Inter-Counties Championships in Bedford (England) this weekend. The Track & Field competition will take place on Saturday 24th and Sunday 25th August 2013 and NI will be well represented in the form of Kerry Harty (Newcastle AC), Aislinn Crossey (Newry AC), Curtis Woods (North Down AC), Adam McComb (North Down AC) and Danny Mooney (Letterkenny AC). On Sunday 25th August 2013, organisers of the Moneymore 10k road race will welcome athletes from across the province to the County Derry/Londonderry village for their annual event, which they hope will attract a record number. Stephen Prentice (Enniskillen Running Club), a winner at the Fivemiletown 10k this week (Wednesday 22nd August 2013) could make the journey and will find himself at the head of the field if he does. Another County Fermanagh man, Glenn Phair (Enniskillen Running Club), who has enjoyed a successful summer, collecting top honours at the Lisbellaw 10k and the Donaghmore 5.05m road race will also take a podium place if he turns out. Pierce McCullagh (Sperrin Harriers), Donal Gallagher (Sperrin Harriers), Damien Cox (Omagh Harriers) and Darryl Meehan (Carmen Runners) could also be top finishers. Also on Sunday 25th August 2013, the people behind last week’s successful Twin Peaks race in Cargan, an event organised as part of the week long Glenravel Festival, will host another race. On this occasion, it will be a tough but picturesque Skerry Heights 10k road race in the village of Newtown-Crommelin (on the outskirts of Ballymena). Participants are expected to include a mixture of local fitness enthusiasts and respected club runners. This could include a large contingent of Ballymena Runners as well as Ballymena based Larne AC lady Geraldine Quigley, who won the ladies race last year. 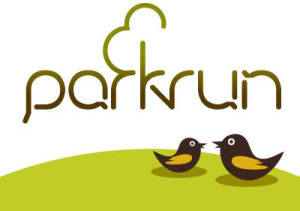 Northern Ireland’s twelve parkrun events will also take place as normal. There will be a special guest at the Waterworks event, with former 5,000m World Record holder David Moorcroft visiting as part of his role in the nationwide ‘Join in Local Sport’ initiative (see article below this preview for full details). For more information on parkrun’s in Northern Ireland, or to locate your nearest event, please visit our dedicated ‘parkrun’ section within our fixtures page. 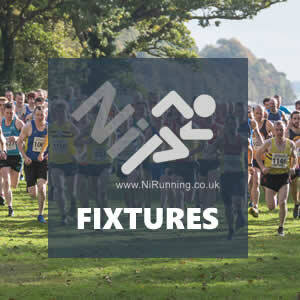 Note – There may be a delay in getting reports online on Saturday 24th August 2013; however, we will put out as much information as possible via facebook (NiRunning – Northern Ireland Running) and twitter (@NiRunning), then summaries and results will be uploaded to our website as soon as possible (signal permitting). In somewhat of a coup for the local running scene, North Belfast Harriers Chairman and parkrun Ireland coordinator Matt Shields has persuaded none other than former 5,000m world record holder David Moorcroft to attend the Waterworks parkrun this Saturday (24th August 2013). Dave is attending the popular Waterworks event to help promote the UK wide ‘Join in Local Sport’ programme. This is a nationwide multi-sport initiative to encourage local sports clubs and people from local communities, to put on sporting activities during August 2013. Dave will be representing ‘Join in Local Sport’ both as its Director and as a former elite athlete/volunteer helping to ensure the Waterworks event runs smoothly. Dave’s athletic career spanned the late1970’s and 1980’s and he competed in the 1976 Olympic Games in Montreal, placing seventh in the 1500m final. He won gold in the 1978 Commonwealth Games in Edmonton at 1500m and just four weeks later, he won the bronze medal at the same distance in the European Athletics Championships in Prague. David had a remarkable season in 1982, during which, he broke the 5,000m World Record by 5.79 seconds without the use of pace-making. His time of 13:00.41 set at the Bislett Games in Oslo (Norway) stood for three years until broken by Moroccan legend Saïd Aouita, although it remained a British record until 2010. He remains the last non-African to set a 5,000m World Record. This will be a happy return to Belfast for Dave as following his ‘retirement’ from top-level competition, he set his then World Masters Record (40+) of 4:02.53 for the mile in Belfast in 1993. In more recent times, Dave has served as the Chief Executive of UK Athletics from 1997 to 2007 and is holder of both an MBE and OBE. He is still the UK record holder for 3,000m, a significant achievement when you consider the recent exploits of a certain Mo Farah! David’s visit to the Waterworks parkrun next weekend is eagerly anticipated. Organisers hope he will be joined by local runners, non-runners, mums, dads, kids and families who are part of the Northern Ireland parkrun community. The free weekly 5km time-trial will commence at 9.30am and will be formally started by Belfast’s Lord Mayor, Mairtin O’Mullieor. More information on the ‘Join in Local Sport’ initiative can be found at www.joininuk.org while further information on parkrun can be found atwww.parkrun.org.uk; any queries about the event should be directed towards Mags Matheson at: waterworksoffice@parkrun.com. On Wednesday21st August 2013, over one hundred runners turned out for the Fivemiletown 10k road race (and associated 5k fun run) in County Fermanagh, an event co-hosted by the Fivemiletown Chamber of Commerce. Stephen Prentice (Enniskillen Running Club) was the first to complete the testing course, the Enniskillen RC athlete, who won the Jengana 10k earlier this year, crossed the line in 34:53. Fergus McGirr, also of Enniskillen Running Club, followed in 36:04 (2nd place), while Leeds University student Glenn Phair (Enniskillen Running Club), recent winner of the Donaghmore 5.05m race, recorded 36:09 for 3rd place. In the ladies race, Pauline McGurren (Sperrin Harriers) produced an excellent performance to win in 41:34 (1st place). The Sperrin Harriers lady has achieved podium places at the Cookstown 5 mile Classic and the Donaghmore 5.05m race earlier this month and is really making an impact on the local scene since. Jenny Algar (Carmen Runners) clocked a new personal best of 41:47, securing 2nd place, before Isobel Oates (Unattached) finished in 43:34 (3rd place). On Tuesday 20th August 2013, seven East Antrim based running clubs took part in the long established annual East Antrim Inter-Club Race, hosted by Larne AC on the outskirts of the coastal town. Larne AC, East Coast AC, Ballymena Runners, East Antrim Harriers, County Antrim Harriers, Seapark AC and Glens Runners were all represented in the record breaking field of well over two hundred athletes. The men raced over 5 miles, while the ladies covered 4 miles; the prestigious team awards were based on the first six men from each club to finish and the first four ladies from each club to finish. Ballymena Runners’ Ben Morrow further established himself as a top competitor after putting in an impressive performance, leading the field home in 27:27. The accomplished cyclist/triathlete has enjoyed an excellent 2013, the highlight of which was his 2:39:26 finish at the London Marathon in April. East Coast AC’s James Brown continued his recent good form, which has included personal bests over 5k and 10k, to take 2nd place in 27:35. James was followed across the line by friend and club mate Justin Maxwell (East Coast AC), who completed the tough course in 28:17 (3rd place). Paula McAllister (Ballymena Runners) returned to her hometown and claimed an excellent double individual victory for Ballymena Runners. The WPFG medallist crossed the line in 26:28 to win. Allyson O’Toole (East Coast AC) produced a notable performance to claim 2nd place in 26:32, while the host club’s Geraldine Quigley (Larne AC) took the final podium place in 27:19 (3rd place). In the much anticipated team awards, an East Coast AC team of James Brown, Justin Maxwell, Nat Glenn, Greg Lavery, John McManus and David Clarke just edged out the impressive Ballymena Runners to seal the men’s team prize. The newly formed club also celebrated victory in the ladies team competition, with Allyson O’Toole, Trisha Campbell, Adele Neill and Penny Lindsay crossing the line in close proximity to each other. As per tradition, Larne Athletic Club generously donated the entire entry fees from the well-organised event to charity, with approximately £900 being donated to local charity Cancer Lifeline. Full Results: East Antrim Inter-Club Race 2013 Results. Photograph used above courtesy of Rhonda Brady (Larne AC). On Tuesday 20th August 2013, Athletics Northern Ireland hosted the fifth round of their Open Graded Track & Field League at the Mary Peters Track in Belfast. North Belfast Harriers celebrated an excellent 1-2-3 in the 5,000m race; Connor Magill continued his comeback with an excellent display, winning in 15:30.28. Adam Boyd, another top North Belfast Harriers man just getting back into competition, claimed 2nd place in 15:49.19 before AAI National 5,000m medallist Conor Curran secured 3rd place. Jonathan Browning (Ballymena & Antrim AC) completed an excellent 100m and 200m double, winning the 100m ‘B’ race in 11.07secs and the 200m in 22.15secs. The 100m ‘A’ race was won by David Agnew (Unattached) in 11.90secs. A second 200m ‘mixed’ race saw Lagan Valley AC’s Joe Frey (30.14secs) and RHS athlete Clare Robinson (28.33secs) cross the line first in their respective categories. In the 800m, Springwell Running Club’s talented youngster Neil Johnston dipped under the two minute mark to win in 1:59.28, just pipping Dromore AC’s Jack McKibbin (2:01.55). In the second 800m race, a ‘mixed’ event, English runners Michael Aspinall (Tipton AC) and Bronagh Furlong (Slaney Olympic) won in 2:00.47 and 2:11.65 respectively. Annadale Striders’ new AAI National 800m Champion Mark Wright (2:05.60) and Newry AC’s Lauren Hutchinson (2:15:07) were the first NI finishers. Friday 16th August 2013 saw Groomsport hold its first ever Half Marathon, which was the ninth race in the Pure Running Half Marathon Series. On a perfect night for running many personal bests were set and runners registered their sixth time to count towards their aggregate times for the Series. The men’s race was won by a man who is aiming to complete the Series, Newry City Runners’ Don Travers (1:17:09), while Julie Balmer (North Down AC), a regular race-winner during the popular Series, won the ladies category in 1:24:49. The winners in some Series age categories are already decided but there are some interesting tussles ahead at the Waterside Half Marathon (8th September 2013) in what will be the final race. In the Male Open category there is only two minutes between David Proctor (Willowfield Harriers) who leads and Kent Swann (North Belfast Harriers) in second place. In the Male Vet45 Derek Somerville (Omagh Harriers) has a good lead but behind is a mighty scrap between Michael McKeown (East Down AC), David McGaffin (Unattached) and Colin Simpson (Up & Runners) all separated by just four minutes. The overall Pure Running Half Marathon Series 2013 current standings can be found HERE. On Monday 19th August 2013, nearly one hundred runners took part in the annual ‘Twin Peaks’ 5k race (distance approximate) in Cargan, County Antrim, a race organised as part of the popular Glenravel Festival. Kevin O’Boyle (Ballymena Runners) continued his good form, which saw him win the Cushendun 10k and more recently, take a podium place at the Lurig Challenge, to lead the field home in an impressive 15:20. Emmett McAlister (Ballymena Runners) finished close behind Kevin in Lurig, and replicated that here, crossing the line in 15:34 (2nd place). Another Ballymena Runners man, Alex Brennan, completed the top three when he covered the distance in 16:11. In the ladies race, young Ballymena & Antrim AC star Rachel Brown used her track speed to claim first place in a fast finish. Rachel clocked 19:28 to finish just three seconds ahead of Catherine McLaughlin (Unattached), who claimed 2nd place in 19:31. Helena Dornan (Ballycastle Runners) secured 3rd place in 20:34. As part of the week long festival, organisers will also hold a 10k road race, the Skerry 10k on Sunday 25th August 2013. The race will take place in Newtowncrommelin and will start at 1pm. On Saturday 17th August 2013, a number of Northern Ireland athletes made the long journey to Tullamore, County Offaly (Ireland) for the prestigious Woodies DIY AAI National Track & Field Championships. Despite the very wet conditions, many produced excellent performances, with a large number bringing home medals. North Down AC’s Roger Sexton (Vet40) completed an excellent 100m and 200m double, recording 11.50secs in the 100m and 23.66secs in the 200m. Not to be outdone, Mid Ulster AC’s Patrick Forbes completed the same double, winning the Vet70 100m (13.60secs) and 200m (29.48secs). City of Derry AC man Robert Bigger won the Vet55 800m in 2:19.30, and also picked up a silver medal in the 400m after recording 62.42secs to finish behind Kilkenny City Harriers’ Ken Deevy (57.43secs). In the 1500m, Annadale Striders’ Mark Wright was rewarded for all his hard work on the track recently with an excellent win; Mark collected gold in his Vet45 category after crossing the line in 4:21.58. East Down AC man Frank Hayes (Vet40) added to the Northern Ireland medal haul with a gold in the 5,000m after running 16:37.78. Ruth Magill (Lagan Valley AC) won the Vet55 800m race in 2:43.29. Conor Curran (North Belfast Harriers) ran well to claim silver in his Vet35 5,000m race, the Belfast man has enjoyed an excellent season after working his way back from injury. Conor recorded 16:13.49 for the distance, the race was won by well-known Irish athlete Brian Murphy (Carrick-on Suir AC) in 16:01.47. In the same category, Barrie Atkinson (East Down AC) secured 6th place in 16:47.89. Highly respected athletics journalist Malcolm McCausland (Lifford AC) also picked up a silver medal, after running 66.46secs to finish as runner up to Clonliffe Harriers’ Matthew Slattery (64.75secs) in their Vet60 400m race. Orangegrove AC man Jim Harris finished in 2nd place in his Vet65 400m race, clocking 71.31secs for the distance; the race was won by John MacDermott (Sligo AC) in 64.91secs. Jim followed this up with another prize-winning performance, this time he took a bronze medal in the 800m after finishing in 2:46.83. The race was won by Liam Mulready (Raheny Shamrock AC) in 2:38.46. Bob Douglas represented Ballymena & Antrim AC in the Vet55 200m race; in a close race, Bob (13.40secs) finished in 2nd place behind race winner Liam Lyster (Crusaders AC) who won in 13.20secs. Bob also won a bronze in the 200m, after breaking the beam in 29.25secs; the race was won by Ken Deevy (Kilkenny City Harriers) in 25.34secs. Another Ballymena & Antrim AC runner, John Totten, took silver in his Vet35 400m event. John completed a fast lap in 54.32secs (2nd place), the race was won by Mattia Leoni (Leevale AC) in 54.10secs. Like his club mate, John (24.73secs) also notched up a second podium place, taking bronze in the 200m race won by Brendan Leahy (Waterford AC) in 24.18secs. Helen Stockdale (Clones AC) completed an excellent hat-trick of top three finishes. The Northern Ireland international finished in 2nd place in the Vet45 3,000m, recording 11:10.65 to finish behind Noeleen Porter (Finn Valley AC), who ran 11:08.98. Helen followed this up with two bronze medals, running 2:43.38 and 5:25.67 in the 800m and 1500m respectively. The Vet45 800m and 1500m races were won by Na Fianna AC’s Bridget Clarke (800m – 2:21.55 and 1500m – 5:11.24.). Another NI lady was competing over 3,000m – Fionnuala McCourt (Lagan Valley AC) won a bronze medal in her Vet55 category after covering the distance in 12:19.71. The category was won by Sheelagh Jones (DSD AC) in 11:55.97. North Down AC’s Michael Roberts settled for bronze in a close Vet60 800m race, where he crossed the line in 2:34.83. The race was won by Patrick Timmons (Raheny Shamrock AC) in 2:30.20. Despite being disappointed with his performance, Lee Maginnis (Unattached) clocked a very credible 2:10.40 (10th place) in his Vet35 800m race, which was won by Peter O’Sullivan (Loughrea AC) in 2:01.71. On Sunday 18th August 2013, a large number of Northern Ireland based runners travelled south to Monaghan, Ireland for the 3rd annual running of the Monaghan 10 mile road race (and associated 5 mile fun run), organised by Monaghan Phoenix AC. The race was won by Freddy Sittuk (Kenya) in 52:57, with Michael Kerr (Carmen Runners) leading the Northern Ireland contingent home in 1:01:21 (4th place). Newry City Runners’ Stephen Quinn followed in 1:02:56 (6th place), while Darryl Meehan (Carmen Runners) and David Wylie (Foyle Valley AC) recorded 1:08:21 (21st place) and 1:12:54 (46th place) respectively. Eileen Stevenson (St Peter’s AC) was the first Northern Ireland lady home, finishing in 4th place (1:15:05); the ladies race was won by Denise Toner (Clones AC), a regular competitor in NI, in 1:07:03. It wasn’t long before the green vest of Carmen Runners was again in sight, with Maurice McPhillips crossing the line in 1:16:32 (59th place). Russell Bell (Sperrin Harriers) achieved a new personal best of 1:17:44 (66th place), before a trio of Knockmany Runners finished; Eoin Smyth (1:18:09), Seamus Arkinson (1:18:14) and Mark Donnelly (1:18:14) took 72nd place, 73rd place and 74th place. Philip Anderson (Carmen Runners) competed the course in 1:21:03 (88th place), while Ray Monaghan (Foyle Valley AC) clocked 1:21:14 (90th place). Donna Owens (Omagh Harriers) just missed a top ten place in the ladies race, finishing as 12th place lady in 1:21:25. Enniskillen Running Club’s Mark Burns (93rd place – 1:22:00), St Peters AC’s Lisa Mulholland (14th place lady – 1:22:35), Carmen Runners trio Ciara Coyle (15th place lady – 1:23:00), Eithne McElduff (17th place lady – 1:23:14) and Mairead McAleer (18th place lady – 1:23:14) and St Peters AC’s Linda Reynolds (19th place lady – 1:23:56) all finished within two minutes of each other. Nuala Grogan (Carmen Runners) was the next familiar face to finish in 1:30:22 (36th place lady); after ten minute spell without NI representation, Gerry McCaffery led no less than five other Knockmany Runners, including Dervla Devlin (54th place lady – 1:44:06), Oonagh McNelis (55th place lady – 1:44:25), Bernie McCaffery (56th place lady – 1:45:49), Monica Mahoney (60th place lady – 1:47:50) and Angela Arkinson (61st place lady – 1:47:56) across the line in 1:40:34 (161st place). Morgan Owens (Omagh Harriers) and Carmen Runners Elish Harvey, Chloe Donnelly, Leanne Skidmore, Nuala McElduff and Margaret Kerr all completed the 5 mile un-timed run. On Sunday 18th August 2013, successful Northern Ireland athletics club North Down AC were well represented at the Woodies DIY AAI National League Final in Tullamore, Ireland. Despite a plethora of fine performances from the North Down AC, it was Strabane based athlete Ann-Marie McGlynn (Lifford AC) who stole the headlines. Ann-Marie, who was guesting for Tir Chonaill AC, has enjoyed an excellent year so far, securing numerous high profile race wins, as well as the NI & Ulster 800m title. The Lifford AC star produced the performance of her life to out-kick Ireland international star Lizzie Lee (Leevale AC) in the final lap of their 3,000m race to win in a season’s best time of 9:34.78. In the 1500m race, North Down AC man Michael Dyer claimed an excellent victory, leading from start to finish, crossing the line in 3:56.39 to win. Jason Harvey (Crusaders AC) was also victorious, winning his 400m hurdles race in 53.18secs. There were also podium places for North Down AC men Calum Hunter, James Budde, Adam McCombe and Curtis Woods; Adam (16.56secs) claimed silver in the 110m hurdles event won by Leevale AC’s Edmund O’Halloran (15.68secs), while James took 3rd place in the 3,000m steeplechase, recording 10:02.35. The race won by Crusaders AC man Ray Hynes (9:42.75). Adam McCombe crossed the line in 49.92secs to seal 3rd place in the 400m race won by Irish star Brian Gregan (Clonliffe Harriers) in 47.56secs. In the 200m, Curtis secured 3rd place in 21.96secs, the race was won by Steven Colvert (Crusaders AC) who clocked 20.92secs. Curtis (11.43secs) also ran in the 100m, finishing in 5th place; the race was won by Steven Colvert (Crusaders) in 11.43secs. In the 800m, Mark Patterson dipped under the two minute mark, taking 5th place in 1:59.10. The race was won by Brian Kelly (St Abbans AC) in 1:54.75. North Down AC coach Francis Marsh lined up in the 5,000m race and finished in 5th place after running 16:20.51. The race was won by Mark Hanrahan (Leevale AC) in 14:46.20. In the 4x100m relay, North Down AC just missed a podium place after completing the distance in 44.00secs; Crusaders AC won in 42.33secs. On Sunday 18th August 2013, at least five Northern Ireland runners were in competition at the British Masters Athletic Federation 10k (Road) Championships in Glasgow, Scotland. Northern Ireland international cross country runner, Steven Cairns (Hunters Bog Trotters), who is based in Scotland, led the NI athletes home in 6th place overall. Steve’s time of 33:01 was enough to secure the Vet45 title. North Belfast Harriers’ legend Matt Shields followed in 36:55 (46th place), and was rewarded with a silver medal in his Vet55 category. Not to be outdone, another North Belfast Harriers man, Paul Elliot also claimed a silver medal in his Vet60 category, after recording 37:08 (51st place). Derek Donaghy (North Belfast Harriers) nipped under the infamous sub forty minute mark when he completed the course in 39:51 (88th place – 12th place Vet55), while North Down AC’s Fred Murdoch just missed a podium finish when he crossed the line in 47:37 (166th place), finishing in 4th place in his Vet70 category. On Saturday 17th August 2013, several Northern Ireland based athletes travelled to Manchester, England for the British Milers Club (BMC) Trafford Grand Prix. Katie Kirk (Lagan Valley AC) was rewarded for strong performance in the 800m ‘B’ race, winning in a new personal best of 2:07.26. In the 800m ‘C’ race, City of Lisburn AC’s Erin McIlveen recorded 2:12.61 to claim 4th place in the race won by Ffion Price (Cardiff AC) in 2:10.87. North Down AC’s Michael Dyer crossed the line in 1:53.83 in his 800m ‘B’ race. The race was won by Brighton Phoenix AC’s Daniel Stepney in 1:52.31. Northern Ireland men James O’Hare (Annadale Striders) and Gareth Hill (Ballymena & Antrim AC) lined up in the 1500m ‘C’ race; James claimed an excellent 2nd place, running 3:50.50 to finish ahead of Gareth who clocked 3:55.11 (9th place). The race was won by James Lamswood (Kingston Upon Hull) in 3:49.31. On Saturday 17th August 2013, over sixty runners took part in the inaugural running of the Shore 10k in Killough, County Down, which was organised by East Down AC. The relatively fast and flat course provided excellent scenery for the competitors, this included excellent views of the towering Mourne Mountains as well as St John’s Point. Interestingly, many of the sights passed by the runners were used as sets for the 2012 Oscar winning (short film) ‘The Shore’. In windy conditions, Brian Young (Unattached) continued his winning streak, picking up his second victory in five days. Brian won the Crawfordsburn 5k Trail Race on Wednesday night and showed good strength to lead the field home in 35:44. David O’Flaherty (Newcastle AC) followed closely, recording 35:48 before Richard Coey (Ballydrain Harriers) completed the top three in 37:18; this was the new Ballydrain Harriers man’s third podium spot in three days after a third place finish in the Darragh Cross 10k on Thursday and a runners up spot in last night’s Groomsport Half Marathon. On Saturday 17th August 2013, Northern Ireland man Paul Pollock embarked on arguably the biggest and most prestigious challenge of his athletic career, the IAAF World Championship Marathon in Moscow, Russia. The AAI National Marathon Champion lined up against the world’s top 26.2 mile runners, including Tsegag Kebede (Ethiopia), Bernard Kiprop Koech (Kenya), Peter Kimeli Some (Kenya), Jackson Kiprop (Uganda) and current Olympic Champion Stephen Kiprotech (Uganda). Ireland based, Moldovan national, Sergi Ciobanu (Clonliffe Harriers) was also in the line-up. In the humid conditions, Paul produced an incredibly disciplined performance, in fact, the performance of his life! He started out sensibly and looked comfortable, passing through 5k in 16:19 (61st place) and 10k in 32:27 (60th place). The Belfast doctor then began to progressively work his way through the field, going through the half-way point in 1:07:59 (52nd place); as the race progressed, Paul’s sensible and disciplined start began to pay off, as his strength and class became apparent when he passed a staggering twelve people between 21.1k to 25k (he went through 25k in 1:20.35). As the race entered the final stages, the Annadale Striders star continued to charge through the field, overtaking world class athlete after world class athlete, before finding himself in 33rd place at 30k (1:36:29) and 27th place at 35k (1:52:45). The unassuming and exceptionally talented Northern Ireland man was rewarded for his brilliant performance with a 21st place finish, completing the 42.2k/26.2m course in 2:16:42 to loud cheers from the thousands of admiring spectators. Paul’s performance was made all the better by the fact that he was the second placed European athlete in the field, an excellent achievement! The tactical race was won by Kenyan based London 2012 Olympic Champion Stephen Kiprotech (Uganda) in 2:09:51. Sergui Ciobanu (Clonliffe Harriers) recorded 2:34:17 to finish in 48th place. On Friday 16th August 2013, hundreds of runners descended on the tranquil coastal village of Groomsport, County Down for the Groomsport Half Marathon and associated 10k race. The start and finish areas were on the picturesque coastline, with the Half Marathon competitors setting off approximately half an hour before the 10k participants. In the 13.1m event, Don Travers (Newry City Runners) and Gareth Grew (North Belfast Harriers) were prominent figures at the front as the field made their way from the start, through the village and towards the undulating rural section of the course; which they covered twice. Julie Balmer (North Down AC), Geraldine Quigley (Larne AC), Diane Watson (City of Lisburn AC) and Gillian Douglas (Unattached) were within close proximity of each other as the ladies went through the village. The spectators then made their way towards the start of the 10k race, which also turned out to be an excellent vantage point for the Half Marathon, allowing the waiting crowds to see the athletes as they went through half way and onto their second loop. Shortly after the 10k runners had been set off, the leading Half Marathon runners came into view; Don Travers was the first, and the triple WPFG medallist had opened a sizable gap on the chasing pair of Richard Coey (Ballydrain Harriers) and Gareth Grew (North Belfast Harriers). Behind, Nigel Grier (Dromore AC), Mark Walker (Unattached) and a group containing Thomas Leitch (Orangegrove AC), David Proctor (Willowfield Harriers), Peter Williams (Unattached), Kent Swann (North Belfast Harriers) and Paul Tyro (Unattached) were all looking comfortable. Julie Balmer was in control of the ladies race, with Gillian Douglas, Diane Watson, Lyndsey Pronger (Unattached), Geraldine Quigley and Valerie McDonough (North Down AC) in pursuit. Back at the finish, preparations were under way for the arrival of the runners and as the crowds flocked in to cheer them home, 10k participant Aaron Bell (Unattached) descended onto the shoreline finish and made his way towards the line. The Newtownards man sealed victory in 43:29, something that he will surely remember for years to come. Ryan McGlinchey (Unattached) followed in 44:13 (2nd place), before North Down AC’s Gerry O’Boyle claimed 3rd place in 46:36. Jill Aicken (North Down AC) was victorious in the ladies 10k, winning in 46:09 before triathlete Claire Scott (Peninsula Triathlon Club) secured family bragging rights, beating her sister Genevieve McCallun (Unattached) to 2nd place; Claire recorded 47:11, while Genevieve finished in 48:19. A loud cheer greeted the first of the 13.1m runners onto the promenade; this was indeed the classy early leader Don Travers, who cruised towards the finish with ease, winning in 1:17:09. Richard Coey, a podium finisher at last night’s Darragh Cross 10k, sealed the runners up spot in 1:18:53 (2nd place) before popular North Belfast Harriers man Gareth Grew (1:20:47) claimed 3rd place. Julie Balmer continued her dominance of the Pure Running Half Marathon Series, winning the ladies race with ease. The North Down AC lady celebrated a well-deserved victory in 1:24:49, this was Julie’s sixth Half Marathon win of the year. Gillian Douglas continued her excellent run of form, taking 2nd place in 1:33:07, while Diane Watson confirmed her place as one of the most consistent performers in the Pure Running Series with a 3rd place finish after clocking 1:33:32. Full Results: Groomsport Half Marathon 2013 Results and Groomsport 10k 2013 Results – Race photographs are now available within our ‘Photo Gallery’. This weekend see’s the return of the Pure Running Half Marathon Series, with the Groomsport Half Marathon taking place on Friday 16th August 2013. Aside from this, it will be another busy weekend for Northern Ireland runners as they look forward to races in Cookstown, Killough, Warrenpoint, Tullamore (Ireland), Monaghan (Ireland) and Moscow (Russia). As mentioned, the action will kick off tonight (Friday 16th August 2013) with the Groomsport Half Marathon, which is the penultimate race in this year’s popular Pure Running Half Marathon Series, supported by ChampionChip Ireland. There will also be a lower key 10k race as part of the evening’s programme, organised by the Pioneer Group. As ever, competition will be fierce at the front, with Alan O’Hara (North Belfast Harriers), Don Travers (Newry City Runners) and Francis Marsh (North Down AC) likely to be the top contenders. Alan O’Hara has enjoyed an extremely successful 2013 so far, achieving personal best’s at 5k (15:14), 10k (31:03) and Half Marathon (1:08:38) distance. The North Belfast Harriers man, who also picked up the top prize at the Sperrin Harriers 5 mile Classic (Cookstown) two weeks ago, will go into the race as strong favourite should he turn out on the day. International long distance athlete Don Travers will definitely race, and having collected medals in both the trail race and cross country races at the World Police & Fire Games, Don will be going into this race high in confidence; taking into consideration that he (Don) also finished in second place at both the Newry Marathon and the Mourne Way Marathon as well as recording a season’s best at the recent Ards Half Marathon, it is highly likely that Don will play a prominent part in proceedings. Local man, Francis Marsh could also be a front-runner. The highly respected North Down AC coach seemed to have been focusing on the track this year, with several notable performances, but then showed that he has lost absolutely none of his endurance when he clocked 1:15:49 to finish in fifth place in Ards. Talented Richard Coey, who has recently joined Ballydrain Harriers, will also finish well up the field. Richard is a consistent performer and a regular top ten finisher; he showed great strength to take second place at the Divis Mountain 10k road race a few weeks ago and just last night (Thursday 15th August 2013), he (Richard) secured a podium finish at the Darragh Cross 10k in Raffrey. Gareth Grew (North Belfast Harriers), Nigel Grier (Dromore AC), Mark Walker (Unattached), David Proctor (Willowfield Harriers) and Thomas Leitch (Orangegrove AC) will also be hoping for high placings, while Greg McClure (North Belfast Harriers) and Michael McKeown (East Down AC) will be battling for category prizes. Many of the Pure Running Half Marathon Series’ leading ladies will toe the line for the 13.1 mile race, this will include series leader and regular winner Julie Balmer (North Down AC). Julie has impressed throughout the year, but in particular with her dominance of the series; the North Down AC lady has won five of the six races she has entered. Julie’s seasons best 13.1m time of 1:24:29, which interestingly, she ran at both Larne and Newry Half Marathon’s, is quicker than any of the other ladies due to compete. This includes Roisin Hughes (North Belfast Harriers), Gillian Douglas (Unattached) and Geraldine Quigley (Larne AC). However, this will not stop Roisin, Gillian and Geraldine from trying to secure victory. Roisin in particular has come close to Julie several times this year, finishing behind the North Down AC lady at the Larne Half Marathon and Lisburn Half Marathon. Despite a disappointing display in the Ards Half Marathon, Roisin possess the qualities to feature at the front. Gillian Douglas was the opposite of Roisin in Ards, where the Vet50 athlete produced an excellent performance to claim fifth place (1:31:35). Geraldine Quigley surprisingly opted for the 10k in Dervock last month, as opposed to the Half Marathon (which was part of the Pure Running Series); on the day this proved a good choice, as the Ballymena based lady claimed yet another podium finish. Geraldine is due to compete here, despite not having come close to her 13.1 mile personal best of 1:29:55 since 2010, Geraldine has never been in better shape to do so and will be chasing a top three finish here. Diane Watson (City of Lisburn AC), Nikki Heywood (North Down AC), Fiona Johnston (Unattached), Laura Bateson (Unattached) and Claire Forth (Unattached) should all be in or around the top ten ladies. On Saturday 17th August 2013, Northern Ireland man Paul Pollock (Annadale Striders) will line up against some of the world’s top marathon runners when he represents Ireland at the IAAF World Athletics Championships in Moscow, Russia. Paul, who joined up with the Ireland squad on Tuesday, is looking forward to the race despite picking up a niggle over the weekend. The current AAI National Marathon Champion will be hoping to improve on his already impressive personal best of 2:16:30 as he tries to move towards his ambition of breaking both the Northern Ireland and Ireland marathon records. The race will start at 12.30pm (GMT) and will be televised live on both the BBC and Eurosport. We (NiRunning) would like to wish Paul the very best of luck for the event! Also on Saturday 17th August 2013, David O’Brien will host the second annual running of the O’Brien Challenge, which takes place within the vicinity of Davagh Forest, just outside Cookstown, County Tyrone. This year, the traditional 26.2 kilo-marathon will be joined by a 26.2 mile event. David Simpson (Ballydrain Harriers), a comfortable and very impressive winner of the event last year, should return to defend his title. The Ballydrain Harriers front man will prove extremely hard to beat, especially if he decides not to replicate his ‘double-race’ strategy from last year; this saw him (David) win his local parkrun before travelling to the O’Brien Challenge, which he subsequently also won. Other top contenders may include Sperrin Harriers trio Donal Gallagher, Pierce McCullagh and Aaron Meharg as well as Newry City Runners’ Dale Mathers. Karen Alexander (Sperrin Harriers) is a big fan of this event, but the International athlete will more than likely miss out unless she has made a miraculous recovery from a bad fall at the IAAF World Mountain Running Association ‘Long Distance Challenge’ in Poland two weeks ago. Despite the fall, Karen bravely finished the race, but this event may come a little too quick for her to return to competition. This will leave the door open for last year’s second and third placed ladies, Caroline Irwin (Springwell Running Club) and Karen McLaughlin (Springwell Running Club) to take the title. Karen has been in good form of late and claimed the runners up prize at the Dervock Half Marathon; another Springwell Running Club lady, Linda Gillen has also produced a few notable performances recently and should perform well here if she takes part. Other ladies to look out for may include Pauline McGurren (Sperrin Harriers) and Anne Killen (Unattached). In County Offaly (Ireland), several Northern Ireland based athletes are expected to race at the Woodies DIY AAI National Masters Championships on Saturday 17th August 2013. Conor Curran (North Belfast Harriers) will hope to continue his brilliant run of personal bests when he takes on the 5,000m race. Conor may well be joined by Athletics NI 5k (Road) Champion Declan Reed (City of Derry AC) in what should be a very competitive line-up. Mark Wright (Annadale Striders) will compete in the 1500m event. Tullamore Stadium (Tullamore, County Offaly) will also be the venue for the Woodies DIY AAI National League Final on Sunday 18th August 2013. Although event details are hard to come by, we would anticipate a strong showing from City of Derry AC. Also on Saturday 17th August 2013, East Down AC will welcome local athletes to the inaugural running of the Shore 10k road race in Killough, County Down. The fast and relatively flat course will suit newcomers and personal best hunters alike; it will also provide excellent scenery, with views of the Mourne Mountains and St John’s Point. Local man Brendan Teer (East Down AC) will start as pre-race favourite; the current NI & Ulster Junior XC Champion has really shown his worth in 2013 with a host of prestigious race victories, including the Albertville 5 mile road race, Portaferry 10 mile road race, Les Jones 10k and the Ballynahinch 10k to name just a few. Unattached athlete Brian Young will also toe the line and should achieve his second podium place within five days, following his win in Wednesday’s Crawfordsburn 5k Trail Race. Paul Carroll (Annadale Striders), Alan Johnston (Murlough AC) and Barrie Atkinson (East Down AC) will all finish well up the field if they enter on the day, while Michael Cultra (East Down AC) will be looking for an enjoyable first outing after his brave performance at last month’s Energia 24 hour race, where he covered over 100 miles. The ladies race will more than likely be contested by East Down AC ladies Cheryl Denvir and Catherine O’Connor. The pair have been very close to each other recently, with Catherine having the upper hand earlier in the year, while Cheryl appears to be just edging it at the moment, having beaten Catherine to the line just last night (Thursday 15th August 2013) in Darragh Cross. Cheryl also had an excellent run at the Tollymore trail race last month, where she finished in third place. Orangegrove AC pair Louise Lemon and Elizabeth Leitch will also be top finishers, should they participate. On Sunday 18th August 2013, runners in the Newry & Mourne area will descend on the harbour town of Warrenpoint for the Mark Annett Memorial 10kroad race; although the event is geared towards raising charitable funds it will no doubt attract a number of top athletes from the area. Newry City Runners will be well represented, with Dermot Mathers, David Griffin, Anne Haveron, Pat Rocks, Caroline Wade, Sinead Mallon and Sean Goodman all likely to battle it out for top honours. A number of athletes from Carmen Runners will travel just over the border to Monaghan, Ireland, for the Monaghan 5 mile and 10 mile road races on Sunday 18th August 2013. Michael Kerr, Darryl Meenagh, Philip Anderson, Maurice McPhilips, Nuala Grogan, Eithne McElduff, Mairead McAleer and Ciara Coyle will all represent the popular club. On Thursday 15th August 2013, over sixty athletes took part in the Darragh Cross 10k road race, organised by Darragh Cross GAC in Raffrey, County Down. Brendan Teer (East Down AC) continued his excellent form, which has saw him win no less the thirteen races in 2013, sealing victory in 32:03. Newcastle AC’s mountain running expert, Deon McNeilly followed in 2nd place, crossing the line in 34:55; Ballydrain Harriers’ new recruit, Richard Coey celebrated his first official outing in the club’s colours with a 3rd place finish after recording 35:09 for the distance. In the ladies race, East Down AC ladies Cheryl Denvir and Catherine O’Connor once again battled it out for top spot, on this occasion it was Cheryl who had the upper hand, winning in 41:30. Catherine took 2nd place in 43:02, while Dromore AC’s Susan Smyth, who has been running well of late, claimed the final podium spot in 43:08. On Wednesday 14th August 2013, North Down AC hosted their annual Crawfordsburn 5k Trail Race, a well organised event held within the confines of the scenic Crawfordsburn Country Park, just outside Bangor, County Down. On a dull evening, a number of athletes brightened things up with notable performances; the first of which came from Unattached athlete Brian Young. Brian, a second place finisher at this year’s Bann 10k, just saw off the challenge of young Willowfield Harriers man Ryan Holt (2nd place – 18:27) to seal victory in 18:25. North Belfast Harriers’ Simon Reeve used his mountain running experience, tackling the undulating course well to take 3rd place in 18:54. North Down AC starlet Jessica Craig, who has been running well on the track recently, enjoyed an excellent outing. The International XC runner secured a relatively comfortable victory in 20:27; Jessica was followed across the line by her North Down AC club mates Kerry Speers and Katie Moore, both of whom should be happy with their performances, with triathlete Kerry covering the distance in 21:05 and Katie 22:09. Popular Northern Ireland running club, North Belfast Harriers have launched their annual Laganside 10k road race, which will take place on Sunday 1st September 2013 (starting at 2pm) in Ormeau Park, Belfast. The well-organised event attracts thousands of competitors on a yearly basis; participants range from fitness enthusiasts who have targeted the 6.1 mile race over the summer, to recognised International athletes. Whether a newcomer or an experienced personal best hunter, the fast and flat course is perfect for putting your summer training to the test. Ideally situated in the running calendar, the Laganside 10k is the perfect ‘tune up’ race for those considering running in the Belfast and/or Waterside Half Marathons in September 2013. As usual, North Belfast Harriers and local shop Pure Running are providing generous category prizes in the Open and Masters Categories (35+). Also, in a bid to get more youngsters involved in running and healthy lifestyle choices, this year’s Laganside 10k programme will feature a new Children’s 1 mile event for boys and girls aged between 6 years old and 15 years old. This event will take place at 1.30pm and takes place on a safe, marshalled and flat route within Ormeau Park. Times for all children will be recorded but the focus of the 1 mile event is on fun and participation, so mums or dads will be allowed to run alongside younger competitors if they wish. With entrance fees (for the children’s race) only £3 and guaranteed goody bags and medals for all children, the mile race represents great value for money. Special medals will also be presented to first and second placed children in the following categories: Under 7; Under 9; Under 11; Under 13 and Under 15. Runners for both the 10k and 1 mile events can now enter online at www.laganside10k.com – races fees are £10 (Athletics NI registered runners), £12 (unregistered or fund raising runners) and £3 for the children’s mile. The Northern Ireland & Ulster (Track) Relay Championships will take place in the 2013 UK City of Culture, Derry/Londonderry, for the first time ever on Sunday 1st September 2013. Having hosted the extremely successful Walled City Marathon in June 2013, City of Derry AC and their associates will welcome some of the province’s top track stars to the Templemore Sports Complex, Derry/Londonderry for the prestigious annual event, which is sanctioned by Athletics Northern Ireland. As well as the traditional structured relay competition, the host club have added some fun and mixed relays to include everyone. All races will be electronically timed, so can be used as club and national records (if applicable). The events on offer include 4x100m, 4x300m, 4x400m, 3x800m, Swedish Relays (1x100m, 1x200m, 1x300m, 1x400m), Sprint Medley (1x100m, 1x100m, 1x200m, 1x400m), Distance Medley (1x1200m, 1x400m, 1x800m, 1x1600m) and Mixed Relay (4x200m – MUST include two boys and two girls). Age categories are as follows: Under 13, Under 15, Under 17 and Open. There is over £1,000 in cash to be won across all age groups and medals for the first three teams in every race. Registration will be available online on theAthletics NI website, pre-entries will be £10; on the day entries will also be available but at an increased rate (£15). Enquiries should be directed to City of Derry AC or Athletics NI. On Sunday 10th August 2013, local running enthusiasts took part in the inaugural running of the Mullaghbawn 10k (and associated 5k fun run) in County Armagh. The event was hosted by Mullaghbawn CLG and attracted nearly seventy participants. Newry City Runners’ Dermot Mathers dealt with the undulated course in impressive fashion, leading the field home in 34:55. Fellow Newry City Runners athlete David Griffin (36:16) followed in 2nd place, while Alan Johnston (Murlough AC) followed up his podium finish at last weekend’s Crossmaglen 10k with another top three finish; Alan claimed 3rd place in 36:52. Unattached athlete Jemma McGourth (46:08) was the convincing winner of the ladies race, finishing over three minutes ahead of her nearest rival, who was Tina Crawley (Unattached). Tina secured 2nd place in 49:20, just beating Newry City Runners’ Sinead Mallon (3rd place – 49:20) to the line. On Saturday 10th August 2013, many of the province’s top mountain runners took on the infamous Seven Seven’s race in the Mourne Mountains. The gruelling course took participants on an anti-clockwise loop, which started and finished at Greenhill YMCA Centre just outside Newcastle (County Down) and covered Slieve Donard, Commedagh, Bernagh, Meelmore, Meelbeg, Dam, Binnian and Lamigan (19 miles with 8,700ft of ascending). Jonny Steede (Ballymena Runners) and Diane Wilson (Dromore AC) not only lived up to their pre-race favourite status, but also proved once again why they are looked upon by their peers as two of the provinces top mountain/trail runners. In the men’s race, Jonny reproduced the dominant display that led him to victory at the Lost World’s 100k in May 2013, breaking clear of the chasing pack early on to record the second quickest time ever for the tough course. The Ballymena man broke the tape in an excellent 3:46:03 to win comfortably. Local man, Seamus Lynch (Newcastle AC), also performed well, just missing out on a sub four hour finish when he crossed the line in 4:00:55 to seal 2nd place. Dale Mathers (Newry City Runners) looked in good shape as he edged out Mourne Runners’ Clive Bailey (4th place – 4:07:59) to take 3rd place in 4:06:11. Diane Wilson made use of the good running conditions to produce an outstanding performance in the ladies race, claiming victory in a new course record of 4:33:32. This was approximately half an hour quicker than the previous course best and also the first time that a female competitor has broken the five hour mark for the course. Diane was followed across the line by recent Mourne 500 finisher Denise Mathers (Newry City Runners), who claimed 2nd place in 5:13:06; Murlough AC athlete Paulette Thomson took 3rd place in 6:13:07. Full Results: Mourne Seven Seven’s – Please accept our apologies in relation to the delay in uploading this race summary. Unfortunately it was beyond our control, as we only received the results this morning (Tuesday). Some of the information used in the above summary was taken from the NIMRA website. On Sunday 11th August 2013, a number of athletes attached to Northern Ireland running clubs took part in the Danny McDaid 15k road race in Letterkenny, an event hosted by Letterkenny AC and named after Irish running legend Danny McDaid, who recently also had the town’s newly refurbished Athletics Track named after him. Exceptionally talented Foyle Valley AC man Keith Shiels, who won last week’s Riverine 10k in Lifford (Ireland), as well as numerous other recent events, once again topped the podium. Keith produced an excellent performance to beat Cookstown Half Marathon winner, and Finn Valley AC new boy Henry O’Neill. Keith recorded 48:49 (1st place), while Northern Ireland man Henry followed in 48:59 (2nd place). Greg Roberts (City of Derry AC) ensured that NI based athletes completed a clean sweep of the men’s podium when he took 3rd place in 50:30. Greg’s City of Derry AC club mates Gary Slevin (4th place) and James Brown (7th place) also sealed top ten places, running 50:40 and 51:54 respectively. Foyle Valley AC’s Andrew Wallace followed in 58:10 (17th place), before City of Derry AC’s Sammy McAnney (20th place – 58:42) led Darren Wallace (Foyle Valley AC) and Dara McNulty (Foyle Valley AC) home under the one hour mark, with Darren running 59:48 (29th place) and Dara 59:57 (30th place). Richard Shannon (Omagh Harriers) clocked 1:02:21, while Foyle Valley AC’s Martin Dunleavy (1:04:20) and North Belfast Harriers’ Paddy McCambridge (1:12:26) claimed 56th place and 103rd place respectively. Ita McCambridge (North Belfast Harriers) was the only recognisable Northern Ireland athlete in the ladies race, which was won by Ann-Marie McGlynn (Lifford AC) in 54:59; Ita recorded 1:12:26 (7th place) for the distance. In a close men’s race, which was won by Clonliffe Harriers’ Irish Olympian Mark Kenneally (23:47), Freddy Sittuk (Kenyan), who has been residing in Northern Ireland since the Belfast City Marathon, claimed 2nd place after running 24:09. Annadale Striders’ Patrick Hamilton (24:29) just missed out on a podium spot, finishing in 4th place. North Belfast Harriers lady Breege Connolly claimed a 3rd place finish, crossing the line in 28:26. The ladies race was won by Borrisokane AC’s Siobhan O’Doherty (26:49). On Saturday 10th August 2013, well over one hundred runners and fun runners took part in the annual Donaghmore 5.05m road race and associated fun run and walk in County Tyrone. Enniskillen Running Club’s Glenn Phair continued his impressive summer prize haul, which has included a win at last month’s Lisbellaw 10k and a runners up spot at the Lisnaskea 10k prior to that, with an impressive victory. Glenn saw off the challenge of in-form Sperrin Harriers man Pierce McCullagh (2nd place – 27:47) to win in 27:40. Pierce took 2nd place, before his club mate Donal Gallagher (Sperrin Harriers) claimed 3rd place in 28:50. Another athlete who has enjoyed a number of recent podium places, Julie Butler (Omagh Harriers), won the ladies race in 32:05. Pauline McGurren (Sperrin Harriers), a lady who has made a significant impact on the local scene this year, secured 2nd place in 33:29, before Patricia Campbell (Omagh Harriers) completed the top finishers in 37:29 (3rd place). On Saturday 10th August 2013, well over one hundred athletes turned out to help celebrate the 1st Birthday of the City Park parkrun in Craigavon, which starts and finishes at the well-known Water Sports Centre at Craigavon Lakes. The 5km time-trial, which is one of twelve FREE weekly Northern Ireland parkrun events attracts a wide variety of runners, from those exercising as part of a healthy lifestyle, to some of the provinces top athletes. Nigel Grier (Dromore AC) topped the standings with a 18:15 finish, just pipping St Peters AC’s Peter Murray to the post; Peter took 2nd place in 18:17. Andrew Burns (Unattached) secured 3rd place in 18:29. Current ladies course record holder and regular winner, Gillian Burns (Dromore AC) sealed victory in the ladies category, running 19:11; interestingly, this is the exact same time as Gillian set for the course record on 1/12/2012. Leeanne Corvan (Tuna Triathlon Club) followed in 20:57, while Joan Melanophy (St Peter’s AC) claimed 3rd place in 23:11. The men’s course record is held by North Belfast Harriers star Connor Magill; Conor clocked an excellent 15:48 on the 17/12/12. North Down AC’s Terry Aiken is the Age Graded record holder, having run 19:09 (85.20%) on 25/8/12. A special mention must go to all the volunteers who have contributed to a very successful first year for the event, it is impossible to name everyone, but this week’s volunteers were, Alicia Lappin, Cathy Devlin, Charlie Williamson, Ellen McKeagney, Gillian McCrory, Kelley Rushton, Paul Moore, Rachel Slack, Shane Devlin, Sheelin McKeagney and Tony Hamill. Remember, you can get lots of information on parkrun events in Northern Ireland on our special parkrun sections on our ‘Fixtures’ and ‘Results’ pages. Photograph used above was taken by Jonny Dewart. On Saturday 10th August 2013, a record number of mountain running enthusiasts brought the small coastal village of Cushendall to a standstill as they gathered for the 22nd annual Lurig Challenge. The race, which is part of the Heart of the Glens festival, started in the village and took competitors to the summit of Lurig, before returning to the well supported finish area on the Main Street in Cushendall. The course measured 3.8 miles and included 1,100ft of ascending. The athletes started in the heart of the village and made their way towards Lurig to huge cheers from the hundreds of admiring spectators; once on the mountain, the race began to take shape, with Paul McAnespie (Armagh AC) leading David McNeilly (Newcastle AC), Phelim McAllister (Larne AC), Ben Morrow (Ballymena Runners), David Jackson (Springwell Running Club), Emmett McAlister (Ballymena Runners) and Kevin O’Boyle (Ballymena Runners) to the summit. In the ladies race, Gillian Wasson (Springwell Running Club) was in control but had Claire McAuley (Ballyhouston Harriers) and Shileen O’Kane (Lagan Valley AC) on her tail. As the traffic around the loud and atmospheric finish area was once again brought to a halt for the imminent arrival of the athletes, it was David McNeilly who was cheered onto the finishing straight first. The Newcastle AC man cruised into the finish to huge applause, winning in 29:56. Early leader, Paul McAnespie, followed in 30:17 (2nd place) before local man Kevin O’Boyle crossed the line in 31:11 just ahead of his friend and fellow local Emmett McAlister (4th place – 31:16), claiming 3rd place as well as the prestigious 1st local athlete award. Experienced International Shileen O’Kane gained ground on Gillian Wasson on the descent, passing the talented Springwell Running Club lady and eventually taking top spot in 34:57. Gillian secured the runners up prize in 35:08 (2nd place), while Scottish runner Claire McAuley completed the ladies podium in 37:52. The 1st local lady home was Catriona Kerr (Glens Runners) in 39:18. Full Results: Lurig Challenge 2013 Results. We will also be adding a selection of race photograph’s to our ‘Photo Gallery’ in the coming days. After a week of intense World Police & Fire Games action, it’s back to the important local events this weekend, with two major mountain races and one road race for Northern Ireland running enthusiasts to choose from. On the subject of the two major mountain races, namely the infamous Seven Seven’s and the Lurig Challenge, it’s a real shame that both of these are to be held on the same day, as nearly all of the competitors we have spoken to would like to do both! I know the races have always been very close together, but it’s something that the organisers really should look at, as it would benefit them in terms of numbers and more importantly, it would be better for the Northern Ireland running community as a whole if they didn’t fall on the same day. Anyway, enough of my waffling, back to the action, which begins at 10am on Saturday 10th August 2013 with the Seven Seven’s event in the Mourne Mountains. The new HQ for the 19 mile race (which includes 8,700ft of ascending) is the Greenhill YMCA just outside Newcastle, County Down. The route will take competitors on an anti-clockwise loop of Slieve Donard, Commedagh, Bernagh, Meelmore, Meelbeg, Dam, Binnian and Lamigan before finishing back at the YMCA Centre. Jonny Steede (Ballymena Runners) is expected to toe the line and will go into the race as favourite; the Ballymena man has raced sparingly since his victory at the Lost World’s 100k back in May 2013, with his most notable outing being a win in the Hill & Dale Series at Drinahilly. Stephen Cunningham (Mourne Runners) will not race, but another possible entrant could be David Simpson (Ballydrain Harriers); having clocked up the miles whilst training for the Mourne Way Marathon, which he went on to win, David has the endurance in his legs. If you put that together with the speed that brought him wins at the Tollymore Trail Race and several of the East Harriers’ Trail Races, the Ballydrain front man could be a strong challenger if he participates. Clive Bailey (Mourne Runners), Neil Carty (North Belfast Harriers), Dale Mathers (Newry City Runners) and Billy Reed (East Antrim Harriers) will also be amongst the front runners; Clive was second in this race in 2012 and after several good outings in the Hill & Dale Series and a fifth place finish at the Flagstaff to Carlingford Race, the Mourne Runners man will be looking for a high placing. Dale Mathers and Neil Carty are two of the most consistent performers on the mountain running circuit and both will be there or there abouts. Recently, Dale completed the ‘Bob Graham Round’ within the notorious 24 hour limit. Neil Carty has picked up numerous prizes this year and seems to thrive on the tougher courses that include good ‘runable’ sections, so this event may suit him. The North Belfast Harriers man ran well in the Flagstaff to Carlingford Race, finishing in third place. This is notable as it’s another of the longer distance mountain races. Billy Reed (East Antrim Harriers) is a long distance specialist, which also puts him into the frame for this event; his (Billy’s) top ten finish in the Mourne Way Marathon shows that he is in good shape going into the race. Cathal McGreevy (Team Purple), Pete Grant (Newry City Runners) and Simon Reeve (North Belfast Harriers) will all look for places within the top ten. Diane Wilson (Dromore AC) will lead the ladies field; having enjoyed a fantastic summer, with wins at the Silent Valley, Slieve Commedagh, Slieve Donard and Donard Downhill races, Diane looks like a hard lady to beat. However, should the Dromore AC mountain specialist want to top the podium, she will have to fend of strong challenges from the likes of Denise Mathers (Newry City Runners), Violet Linton (LVO) Joanne Curran (BARF), Anne Sandford (Lagan Valley AC) and Taryn McCoy (BARF). Denise Mathers well be in the thick of the action, the Newry City Runners athlete, who completed the Mourne 500 Challenge last month, narrowly missed a podium place on the Seven Seven’s course last year, so will be determined to make the top three this time around. Incidentally, it was Violet Linton who denied Denise third place last year. Violet also claimed bronze at the Mourne Way Ultra Marathon this year so has the legs for this event, which makes for an exciting dual between herself and Denise. Another lady with proven endurance is Joanne Curran, having completed the Comrades Ultra Marathon in South Africa in June 2013, Joanne know what it’s like to hurt, let’s hope she has put that out of her head as she goes into this race; it might not be 86.9km but it’s still an incredibly tough course. Anne Sandford is a regular on the podium and a very consistent performer, as is Taryn McCoy. On their day, both have the potential to find themselves in the mix, so it will be interesting to see if any of the pair will challenge the front runners (should they race). Also on Saturday 10th August 2013, mountain running enthusiasts will descend on the coastal village of Cushendall for the annual Lurig Challenge. The 3.8m race, which includes 1,100ft of ascending, is one of the showcase events of the Heart of the Glens Festival. Now in its twenty second year, the race is expected to attract some of the country’s top mountain runners, who will be chasing course records set by Robbie Bryson (26:05) and Charlene Haugh (34:24) in 1994 and 2009 respectively. Andrew Annett (Mourne Runners) led the Northern Ireland team home in impressive fashion at the Snowdon International last month, if the talented and versatile athlete shows up for this event, he will prove very hard to beat. Joe McAlister (St Malachy’s AC) is a previous winner of the race and appears to like the event, but after having suffered some kind of issue with his hamstring in Cookstown last week, he is unlikely to race. This leaves the remaining podium places up for grabs; David McNeilly (Newcastle AC), Kevin O’Boyle (Ballymena Runners), Emmett McAllister (Ballymena Runners), Alex Brennan (Ballymena Runners) and Phelim McAllister (Larne AC) are all worthwhile candidates. David McNeilly has been in good form of late and represented Northern Ireland in Wales last month; good friends Kevin O’Boyle and Emmett McAllister will not only battle it out for podium places, but they will also compete for the ‘first local’ prize. Kevin took the prize last year and has been running well over the summer, taking top honours at the Cushendall Festival 10k a few weeks ago. However, Emmett will be looking to overturn last year’s results and is renowned for his strength and determination on the climbs, this is something that Kevin will need to counteract should he wish to replicate the 2012 final standings. Alex Brennan and Phelim McAllister are another pair of strong climbers and Phelim will match that with his ‘road speed’, having enjoyed a new 5 mile personal best (28:12) performance at last Friday’s Sperrin Harriers 5 mile Classic. Alex will be among the leaders on the climb, and if he can hold the pace on the way back to the atmospheric finish, the Ballymena star could well challenge for a top three spot. Other top finishers will include Jason Wilson (Ballymena Runners), Bryan Magee (Larne AC) and Mark Alexander (Ballymena Runners). The ladies race should see the return of last year’s champion, Shileen O’Kane (Lagan Valley AC). So far this year, Shileen has enjoyed a steady stream of wins and picked up the overall title for the Hill & Dale Series as well as a podium place at the Dervock Half Marathon. Shileen should be joined on the start-line by fellow Northern Ireland International ladies Gillian Wasson (Springwell Running Club) and Hazel McLaughlin (Lagan Valley AC), both of whom should peform to their usual high standard. The duo travelled to the Snowdon International last month and produced excellent performances. Gillian finished as runner up to Shileen here last year and will once again be looking to challenge for honours, while Hazel will be hoping for a strong performance, similar to the one that saw here claim first place at the Belfast Hills 10k in June 2013. Helena Dornan (Ballycastle Runners), Shelley Tomlins (Ballymena Runners), Elizabeth Wheeler (Unattached) and Catriona Kerr (Glens Runners) will also finish well up the field. Northern Ireland’s ‘road running’ fraternity will only have one choice should they wish to race this on Saturday 10th August 2013, that will be the well organised Donaghmore 5.05 mile race in County Tyrone. Although the event is traditionally attended by local runners, fun runners and walkers, the lack of other road races could well bring out some well-known club athletes. Sperrin Harriers duo Pierce McCullagh and Donal Gallagher both made the top ten at the Sperrin Harriers 5 mile Classic last Friday night and may look to this race to carry on their fine form. Larne AC’s Paul Gaskell will also be amongst the front runners. In the ladies race, Pauline McGurren (Sperrin Harriers), Cheryl Cardwell (Sperrin Harriers) and Caroline Wade (Newry City Runners) will be the main contenders should they enter on the day. Also this weekend, Athletics Northern Ireland will host the Combined Events Championships (including an Open Meet) at the Mary Peters Track in Belfast. The wide range of disciplines, which will also include track events will take place over Saturday 10th August and Sunday 11th August 2013. Full details on the event are available on the Athletics NI website. Please Note – Photograph used above was taken from the Glens Runners website. On Thursday 8th August 2013, Burren Athletic Club welcomed athletes from all over the province to their annual 10k road race in County Down. Despite the poor turnout, athletes enjoyed the event, which will hopefully mean a much larger support for the race next year. The tough course was not conducive to fast times, but that didn’t stop North Belfast Harriers’ Eamonn White from stamping his authority on the race. Eamonn dominated from start to finish, winning in 34:53. Alan Johnston (Murlough AC) continued his rise through the ranks, with another notable display. Alan ran well to take 2nd place in 36:55, before East Down AC’s Barrie Atkinson (37:57) secured 3rd place in 37:57. In the ladies race, the young Lagan Valley AC trio of Eva Laverty, Elaine Burch and Emma Laverty, all of whom we are more used to seeing produce excellent performances on the track, stole the show. Eva led the ladies home in 43:12, with Elaine following in 45:17 (2nd place). Emma, who has picked up medals in the Ulster Schools and NI & Ulster Championships this year, ran 46:53 (3rd place) in what was her first attempt at the distance. On Wednesday 7th August 2013, a number of Northern Ireland based athletes travelled to Dublin (Ireland) for the Dublin Athletics Board Open Track & Field Meeting at the Morton Stadium, Santry. Neil McCartan (East Down AC), winner of the last ‘NiRunning Mile’, won his 800m ‘E’ race in a speedy 1:58.63. Andrew Wright (Willowfield Harriers), Cathal McLaughlin (Foyle Valley AC), Mark Wright (Annadale Striders), Ryan Sharkey (Lagan Valley AC) and Lauren Hutchinson (Newry AC) also raced over 800m. Andrew clocked 1:56.14 to finish as runner up to Crusaders’ Kevin Woods (1:55.70) in the ‘C’ race, while Cathal (2:04.90) and Mark (2:05.08) took 4th place and 5th place respectively in the ‘D’ race won by Brian Hill (Clonliffe Harriers) in 2:00.43. Ryan recorded 2:10.89 (6th place) in the ‘F’ race, which Dylan Kirwan (Raheny Shamrock AC) won in 2:09.30. Up and coming star Lauren, secured an impressive 3rd place finish in the ladies ‘A’ race, after covering the distance in 2:14.56, this race was won by Isealt O’Donnell (Raheny Shamrock AC) in 2:13.29. Ireland’s European Junior Championships hero Aislinn Crossey (Newry AC) lined up to race over the unfamiliar distance of 200m; however, the Newry AC lady produced an excellent 25.59secs to take 5th place. The race was won by well-known 200m runner (and versatile athlete) Kelly Proper (Ferrybank AC) in 23.49secs. In the men’s 200m, Ballymena & Antrim AC’s Philip McKinney took 6th place after running 25.39secs. The race was won by Clonliffe Harriers’ Isreal Theanu in 22.94secs. Claire Connor (North Belfast Harriers) enjoyed another successful track outing, following on from her second place finish at the recent Dublin Open Graded Meeting (3,000m race), with another runners up place in the 3,000m; Claire crossed the line in 10:52.28, Clones AC’s Northern Ireland International XC runner Helen Stockdale (11:08.02) took 3rd place. Eimear O’Brien (Clonliffe Harriers) won the race in 9:59.93. Last weekend (Saturday 3rd August 2013), Northern Ireland based athlete Karen Alexander (Sperrin Harriers), represented Ireland at the tenth running of the annual IAAF World Mountain Running Association ‘Long Distance Challenge’ in Poland. The prestigious event, that has saw some excellent performances by local athletes in recent years, attracts the very best long distance and ultra-running athletes from around the world. The tough, technical course covered 41km of rocky hiking trails along mountainous ridges, in the shadows of towering Jizera Mountains. In a world class ladies field of nearly one hundred athletes, Karen performed well despite suffering a bad fall early on. The gritty Sperrin Harrier, who has enjoyed an excellent 2013, with wins at the Cooley Legend’s Half Marathon, the Lost World’s 25k and the Mourne Way Marathon (amongst other races), crossed the line in 4:34:14, taking a very credible 32nd place. The ladies race was won by Italy’s Antonella Confortola (3:44:51), while Mitja Kosovelij (Slovakia) took the men’s title in 3:07:36. Unfortunately Karen was the sole Ireland representative, thus she did not figure in the team standings. Northern Ireland were not represented at the event, despite their teams having performed well in previous years. On Tuesday 6th August 2013, Foyle Valley AC hosted the third and final race of their popular ‘Out the Line’ series, which has included races over 3k and 5k so far; on this occasion, competitors faced a slightly longer 5 mile race along the Foyle Valley Cycle Path in Derry/Londonderry. Stephen Connor (Foyle Valley AC) a podium finisher at the previous two races, where he claimed second place and third place respectively, completed an excellent hat-trick of top three places with a win. The local man crossed the line in 27:32 to take 1st place. Michael Finnegan (City of Derry AC) bettered his third place from the 3k race, securing 2nd place in 28:55; another City of Derry AC man, Mark Mullan (28:56), finished a mere one second later in 3rd place. In the ladies race, Denise McElhone followed on from her impressive performance at Sunday’s Riverline 10k (where she took third place), showing no signs of fatigue as she led the ladies home in 32:40 (1st place). Jackie McGinley (City of Derry AC) secured 2nd place in 33:16, while City of Derry AC’s Miriam Bridge (pictured above) recorded 34:22 (3rd place). On Monday 5th August 2013, a number of athletes attached to Northern Ireland running clubs joined thousands of competitors on the start line of the Rock ‘N’ Roll Half Marathon in Dublin (Ireland), which incorporated the Woodies DIY AAI National Half Marathon Championships. Reigning AAI National Half Marathon Champion, Paul Pollock (Annadale Striders), who is currently preparing for the IAAF World Championships in Russia next week, sensibly chose not to defend the title he won so impressively last year, so a new champion was guaranteed. Mullingar Harriers AC’s Mark Christie and Rathfarnham WSAF’s Sean Hehir were in contention throughout, with Gary O’Hanlon (Clonliffe Harriers) also looking good; however, in the end it was Mark who lead the field home, claiming the Athletics Ireland National Half Marathon title in 1:06:09. Sean Hehir followed closely, crossing the line in 1:06:41 to take 2nd place; Gary O’Hanlon, a regular competitor in Northern Ireland, secured 3rd place and the bronze medal in 1:07:03. City of Derry AC’s James Brown was the next familiar face to finish, recording 1:13:18 (27th place) for the distance, before Lizzie Lee (Leevale AC) claimed the ladies title. The Irish International had made her intentions clear from just past the half way mark, when she surged ahead of the chasing ladies, before breaking the tape in 1:14:48. Northern Ireland lady, Gladys Ganiel O’Neill (North Belfast Harriers) produced one of the performances of the day when she recorded a new personal best of 1:15:08 (2nd place), taking a well-deserved silver medal. Fiona Roche (Raheny Shamrock AC) completed the ladies podium in 1:16:42 (3rd place). Annadale Striders’ Simon Murray (1:21:55) was the next NI runner to finish, before Thomas Leitch (Orangegrove AC) clocked 1:24:34. Ciara Toner (Springwell Running Club) was the second Northern Ireland lady home in a massive personal best of 1:28:16, before Jessica Craig (North Down AC) followed in 1:30:14. Newry City Runners’ Robbie Marsh continued his build up to the Dublin Marathon with a new personal best of 1:32:48, while experienced runners Christy McMonagle (City of Derry AC) and Michael McKeown (East Down AC) completed the course in 1:35:08 and 1:36:03 respectively; Newry City Runners man, Dermot Mathers finished in 1:41:52. Catherine Bell-Allen (Springwell Running Club) covered the 13.1m course in 1:43:38 and was soon joined in the finishing area by Dromore AC’s Richard Hand (1:50:04). Dermot Winters (Newry City Runners) and Mark Ramsey (Unattached) then crossed the line, with Dermot running 1:51:11 and Mark 1:55:56 before Shirley Jackson (Springwell Running Club) completed a successful outing for the Northern Ireland contingent. Also this weekend, Larne AC husband and wife duo, Bernard and Rhonda Brady, took on the Bay 10k in Dun Laoghaire, County Dublin (Ireland) on Monday 5th August 2013. The race was won by Northern Ireland resident Freddy Sittuk (Kenya ) in 32:38, while Bernard clocked 37:03 to finish just outside the top ten in 12th place. Rhonda (44:12) crossed the line in 5th place in the ladies race (but had the fourth fastest chip time), the ladies race was won by Irish mountain runner Aoife Joyce (Crusaders AC) in 41:11. Over the weekend (Saturday 3rd August 2013), some of Northern Ireland’s top track stars were in action at the Flanders Cup in Belgium and the British Athletics League in England. In England, Jason Harvey (Crusaders AC) and Curtis Woods (North Down AC) swapped their usual club colours for that of Liverpool Harriers, while Annadale Striders’ Andrew Agnew represented Kent AC at the British Athletics League Track & Field Meeting in Liverpool. Jason Harvey braved blustery conditions to win his 400m hurdles race in an excellent 50.64secs; in the 100m, Curtis Woods crossed the line in 11.37secs (4th place), just missing out on a podium place in the race won by Rory Evans (Liverpool Harriers) in 10.72secs. Jason and Curtis then performed well in the 4x400m relay, where they were joined by fellow Liverpool Harriers Alex Boyce and James Williams. The men clocked 3:15.36 for the distance, finishing in 3rd place. The race was won by Cardiff AC in 3:14.81. That wasn’t the end for Curtis, he then lined up in the 4x100m relay as part of the Liverpool Harriers team, which included Oliver Black, James Williams and Rory Evans. The team covered the 400m in 41.70secs, finishing just behind winners Cardiff AC (41.49secs) in 2nd place. Andrew Agnew ran very well to win his tactical 3,000m ‘B’ race in 8:32.99. Meanwhile, at the Flanders Cup Track & Field competition in Belgium; Ballymena & Antrim AC’s leading lady Christine McMahon enjoyed a brilliant victory in her 400m hurdles race. Christine was the only lady in the field to run sub 60secs, winning in 59.73secs. In the ladies 800m event, Lagan Valley AC’s Katie Kirk (2nd place – 2:08.09) continued her excellent season with a runners up spot, the race was won by Lisanne De Witte (Netherlands) in 2:07.09. Conall Kirk performed well in the top quality 800m ‘A’ race, crossing the line in 1:52.03, his second quickest 800m showing of the season. The 800m ‘A’ race was won by Kenyan athlete Felix Kitur in 1:45.97. Gareth Hill (Ballymena & Antrim AC) narrowly missed a medal when he ran 3:53.70 to secure 4th place in his 1500m race, the race was won by Balint Horvath (Netherlands) in 3:52.95. On Sunday 4th August 2013, Northern Ireland running clubs were well represented at the inaugural Riverine 10k in Lifford, County Donegal (Ireland). It proved a worthwhile trip for most of the Northern Ireland based athletes, as the fast and flat course ensured that several came home with personal bests and prizes. Foyle Valley AC star Keith Shiels once again stole the headlines, leading from start to finish in what was an excellent display of front running. Keith won in a new personal best time of 31:21. That wasn’t the end of the celebrations for the purple vests of Foyle Valley AC, as Pius McIntyre (33:14) and Chris McGuiness (33:35) secured 2nd place and 3rd place respectively, making it an excellent day out for the North West club. Notably, both Pius and Chris also clocked new personal bests for the distance. City of Derry AC duo Kieran Hurley and Michael Murphy also made the top ten, with Kieran crossing the line in 34:53 (6th place) and Michael in 36:32 (9th place). In the ladies race, Catherine Whoriskey (City of Derry AC) claimed 2nd place, after finishing as runner up to race winner, Lifford AC’s Ann-Marie McGlynn (35:24) in 39:03. Denise McElhone (Foyle Valley AC) made sure that Foyle Valley AC were also represented on the ladies podium when she took 3rd place in 40:48. Trish McClintock (Foyle Valley AC) also achieved a top ten finish, recording 46:13 (9th place). On Sunday 4th August 2013, the increasingly popular World Police & Fire Games road show rolled into Cookstown, County Tyrone for the Cookstown Half Marathon, which incorporated the WPFG Half Marathon. Race HQ was located at the Mid-Ulster Sports Arena, which had been turned into what could only be described as a small atmospheric village for the day, where athletes, spectators, volunteers and officials mingled in the glorious weather. To the sound of bagpipes, the athletes set off on their 13.1m journey, which would take them from the Mid-Ulster Sports Arena, through the Town Centre and onto undulating rural roads, before they came back through the Town Centre, making their way back to the Sports Arena and the packed, well put together finish area. In the absence of regular updates, the gathered press in the aforementioned finish area discussed possible winners; the only updates available provided information that local man, non-WPFG runner, Henry O’Neill (Unattached) was at the front with Jonattan Morales (Mexico) and two Russian athletes as the field went through 10 miles. As the friendly and welcoming volunteers (some of which were well-known local runners) sprung into action, preparing the finish area for the athletes arrival, it wasn’t long before Henry O’Neill entered the final straight to loud applause, the Omagh based man crossed the line in 1:12:18 to win; this secured the Cookstown HM title. Mexican WPFG competitor Jonattan Morales followed in 1:13:31, taking the prestigious WPFG gold medal; Spain’s Jose Del Campo Gijon sealed 3rd place overall and a silver medal in the WPFG race in 1:15:00, before Paul Moran (Ireland) took 3rd place in the WPFG competition (and 4th place overall). The Irish runner, who spent a lot of time in Northern Ireland last year, and trained with Larne AC, recorded 1:16:51. Keith Young (Unattached) claimed the runner up spot in the ‘open’ event when he finished in 1:18:10, while Brendan McDaid (Inishowen Fitness) completed the ‘open’ race top three when he clocked 1:21:07 (3rd place in ‘open’ race). In the ladies race; Svetlana Zaharova (Russia) enjoyed a comfortable win in the WPFG race. The late entrant crossed the line in 1:22:24 to win. Local lady and former Commonwealth Games athlete Kelly Neely secured a well-deserved victory in the ‘open’ race; Kelly, who has finished as runner up in the Larne HM and the Ards HM this year, completed the tough course in 1:28:14. Club Pulse AC‘s Linda Meehan (1:37:33) claimed 2nd place in the ‘open’ race, just thirteen second before Team NI’s Shelley Boyd (1:37:50) took 2nd place in the WPFG race; Hazel Smyth (Scotland), who is originally from Northern Ireland but now works and lives in Scotland, finished as 3rd place WPFG lady in 1:40:02 before Fiona Johnston (Unattached) ran 1:40:28 to complete to ‘open’ race top three. Full Results: Cookstown Half Marathon 2013 Results. There will also have been age category medals handed out as part of the WPFG race; this information will be available on the official World Police & Fire Games website. Race Photograph’s from the event will also be added to our Photo Gallery in the coming days. On Friday 2nd August 2013, a large number of Northern Ireland based athletes were amongst over two hundred competitors taking part in the Michael Fearon & Kevin Marron 5k road race in Carlingford, Ireland. The race was won by Kenyan runner Freddy (Keron) Sittuk, who is currently based in Derry/Londonderry; Freddy clocked 14:48 for the distance, just pipping Annadale Striders star Paddy Hamilton (2nd place – 14:55) to the post. The next Northern Ireland man to finish was Armagh AC’s Stephen Kerr (15:43), who sealed an excellent 6th place finish, before Brendan Teer (East Down AC) crossed the line in 15:52 (9th place). North Belfast Harriers’ Conor Curran continued his excellent run of form with another personal best and a top ten place, Conor recorded (16:04) to finish just ahead of his club mate and friend Adam Boyd (11th place – 16:07) who was making a welcome return to competition after picking up an injury at the Paris Marathon earlier this year. David O’Flaherty (Newcastle AC) claimed 12th place in 16:30; Armagh AC’s Dermot Kerr ran a new Irish Vet55 5k (road) record when clocked 16:39 (15th place), this sparked a surge of NI finishers, with Beechmount Harriers’ Peter Cassidy (16th place – 16:41), Newcastle AC’s Deon McNeilly (17th place – 16:45), Armagh AC’s Leroy Brady (21st place – 16:55) and Dromore AC’s Nigel McKibbin (22nd place – 16:57) all crossing the line in quick succession, with all dipping under the seventeen minute barrier. Young Dromore AC man Timothy McCracken clocked 17:20 (27th place), securing the top prize in the U-17 junior category; Barrie Atkinson (East Down AC) followed in 17:27, with Michael Stewart (Dromore AC) crossing the line a short time later in 17:40. Experienced North Belfast Harriers man Paul Elliot (43rd place – 18:03) was the next familiar face to finish, while Paul Cain (Dromore AC) and Colin Drain (Beechmount Harriers) took 46th place (18:20) and 55th place (18:46) respectively. Gillian Burns continued what proved to be a successful night for Dromore AC, crossing the line in 18:50 to seal 3rd place in the ladies race, which was won by Fiona Reid (Dunboyne AC) in 17:53. Liam Keenan added to the East Down AC finishers list when he completed the course in 18:58, just three second quicker than Colm Turley (Dromore AC) who ran 19:01 (60th place). Patrick Traynor led the blue and yellow vests of Newry City Runner home in 19:14 before Niall Carson (Newcastle AC) and Pat Rocks (Newry City Runners) crossed the line just one second apart, Niall finished in 19:25, while Pat clocked 19:26. Geraldine Branagh (Dromore AC) then claimed 7th place (19:35) in the ladies race; City of Lisburn AC’s Christine Quinn (20:04) and Lagan Valley AC’s Ruth Magill (20:09) also finished as top ten women, taking 9th place and 10th place respectively. The ever improving Stephen McCartan (East Down AC) ensured a top 100 place, recording 20:28 to secure 97th place. Other NI times were: Ernest Hall (Dromore AC) – 20:31, Paul Lyons (Newry City Runners) – 20:39, Sam McNeilly (Newcastle AC) – 21:15, Conor O’Reilly (Armagh AC) – 21:28, Mary Mackin (Dromore AC) – 21:37, Finonnula McCourt (Lagan Valley AC) – 22:03, Willy Weir (Dromore AC) – 22:08, Catherine Bell (Dromore AC) – 22:19, Ian Bates (Dromore AC) – 22:22, Ben McKibbin (Dromore AC) – 27:55, Judith Nixon (Dromore AC) – 22:59, Carla Magill (Lagan Valley AC) – 24:12, Ruth Aiken (Dromore AC) – 24:58, Sarah Doran (3 Ways AC) – 25:52. On Friday 2nd August 2013, running enthusiasts from all over the province descended on Loughry College in Cookstown, for the annual Sperrin Harriers 5 mile classic road race. In blustery conditions, nearly three hundred athletes set off on the newly altered course, which would bring them back into the college and the excellent finishing straight. Alan O’Hara (North Belfast Harriers) led the pack from the off, with late entrant and previous winner of the event, Joe McAlister (St Malachy’s AC) just behind. Connor Magill (North Belfast Harriers), who was continuing his return to competition, found himself just behind the pair as they progressed through the half way mark, while East Coast AC duo Justin Maxwell and James Brown were leading the chasing pack. The ever impressive Gemma Turley (Springwell Running Club) was well clear in the ladies race, with Geraldine Quigley (Larne AC), Pauline McGurren (Sperrin Harriers), Karen McLaughlin (Springwell Running Club) and Linda Gillen (Springwell Running Club) in pursuit. As the race neared the closing stages Joe McAlister made his move, and surged ahead of Alan. However, this was relatively short lived as Joe experienced some hamstring issues, which led to him having to slow the pace. This opened an opportunity for Alan to reclaim the lead, which he took advantage of; Alan powered into the long finishing straight, covering the remaining yards quickly to seal a very well deserved win in 25:24. A brave, and visably uncomfortable Joe, managed to hold off the fast finishing Connor Magill to take 2nd place in 25:54, with Connor securing 3rd place in a new personal best of 25:56. Gemma Turley further increased her lead in the second half of the race to cross the line in 30:47, adding another brilliant win to her CV. Local lady, Pauline McGurren took 2nd place in 32:34, before Geraldine Quigley claimed 3rd place in 33:00. On paper, the upcoming weekend looks to be relatively quiet, with only two major local events due to take place in Northern Ireland. However, both event’s will be extremely well attended, especially the Cookstown Half Marathon, which also incorporates the World Police & Fire Games Half Marathon. On the subject of the WPFG, there will also be Track & Field action at the Mary Peters Track over the weekend (this will not be open to local athletes apart from those who are registered WPFG competitors). As well as these races, a large number of Northern Ireland based athletes will also travel to Carlingford (Ireland) for the Michael Fearon & Kevin Marron 5k Road Race and also the Riverine 10k in Lifford (Ireland). The action kicks off on Friday morning at 10am (2nd August 2013), with the first of five days of World Police & Fire Games Track & Field competition at the Mary Peters Track in Belfast. A preview in relation to this event can be found on our special NiRunning @ WPFG page (under the ‘More’ section on the navigation bar). We will also be adding as many updates as possible on the WPFG races to the same page. On Friday (2nd August 2013) evening, Sperrin Harriers will welcome hundreds of athletes to Loughry College, Cookstown for their annual 5 mile classicroad race. The race will cover a new course, which isn’t too different to the fast and relatively flat route previously used. North Belfast Harriers men Alan O’Hara, Connor Magill, Eddie Cooke and Mark McKinstry will join Justin Maxwell (East Coast AC), Stephen Joyce (Springwell Running Club), Aaron Meharg (Sperrin Harriers) and Aidan O’Hagan (Sperrin Harriers) on the start line. Alan O’Hara has been in exceptional form this year and will more than likely head the field, the Belfast man has enjoyed personal bests over 5k, 10k and Half Marathon distances during 2013 and has 5 mile personal best of 25:41; Alan’s club mate Connor returned from a long period out through injury to win the Greyabbey 10k earlier this month and will be looking forward to test himself against his speedy friends. Ultra-runner Justin Maxwell will compete in only his second road race of the year, but following an excellent outing in Mont Blanc, France and a podium place at the recent Solstice 5k road race in Belfast, Justin will be hoping for another decent performance. Eddie Cooke will also be in the thick of the action and having claimed third place at the Portaferry 10 mile road race two weeks ago, the talented athlete has proven he is in good shape. Mark McKinstry has been one of the most improved athletes of 2013, the Ballymena based man produced some excellent performances at the East Antrim Harriers Forest Trail Series and then went on to beat several ‘high profile’ runners to win the Dalriada Festival 5k. Stephen Joyce (Springwell Running Club) finished fourth in the Dervock Half Marathon two weeks ago, while Sperrin Harriers duo Aaron Meharg and Aidan O’Hagan are always in or around the top places. The ladies race will feature Gemma Turley (Springwell Running Club), Geraldine Quigley (Larne AC) and Karen McLaughlin (Springwell Running Club). Gemma is a lady in the form of her life; the Springwell RC leading lady has won countless races over the past few months but most recently secured top honours at the NFU Mutual 5 mile road race and the Foyle Valley AC 5k road race. Geraldine Quigley took third place behind Gemma at the NFU Mutual race and also picked up a prize at the Dervock 10k, while Gemma’s club mate, Karen McLaughlin (Springwell Running Club) claimed the runners up spot at the Dervock Half Marathon. The aforementioned ladies should take the podium places, barring any late entries; however, Anne Killen (Unattached), Linda Gillen (Springwell Running Club), Rosemary Hargan (Sperrin Harriers) and Joy McAleer (Orangegrove AC) will all be circling if any of the leading trio faulter. All four are consistent runners and should finish well up the field. Also on Friday 2nd August 2013, a large number of well-known Northern Ireland based runners will make the short border crossing to Carlingford, Ireland for the Michael Fearon & Kevin Marron 5k road race, an event that has always proved popular with NI runners. Brendan Teer (East Down AC), Patrick Hamilton (Annadale Striders), Stephen Kerr (Armagh AC), Conor Curran (North Belfast Harriers), Eoghan Totten (Newcastle AC), Andrew Annett (Mourne Runners), Andrew Hicks (Dromore AC), Nigel McKibbin (Dromore AC), Dermot Kerr (Armagh AC), Liam Venney (East Down AC), Neil McCartan (East Down AC), Paul Finnegan (Armagh AC), Daniel Fegan (Armagh AC), Paul Blayney (North Belfast Harriers), Paul Elliot (North Belfast Harriers), Peter Kennedy (Beechmount Harriers), Patrick Sheridan (Newcastle AC), Timothy McCracken (Dromore AC), Paul Cain (Dromore AC), Gillian Burns (Dromore AC) and Geraldine Branagh (Dromore AC) will all toe the line. Based on recent performances, Brendan Teer, Patrick Hamilton, Andrew Annett, Conor Curran, Stephen Kerr and Eoghan Totten will all be chasing podium places in what should be a top quality field. Junior athlete Timothy McCracken will be hoping for a high category finish, as will veteran athletes Dermot Kerr, Nigel McKibbin, Paul Elliot and Paul Blayney; more importantly, all of the Northern Ireland contingent will be chasing personal bests! Sunday 4th August 2013 brings what should be the highlight of the weekend’s racing, the Cookstown Half Marathon, incorporating the World Police & Fire Games Half Marathon. Unfortunately, due to the very early closure of the online entry system and no option of ‘on the day’ entries, hundreds of runners will miss out on what would have been an excellent opportunity to race against athletes from all over the world. A preview of the WPFG contenders will follow tomorrow (Saturday 3rd August 2013) if we receive details of the entrants; this preview will be published on our NiRunning @ WPFG page. The local race will feature approximately four hundred competitors, many of whom will be vying for good times as part of their campaign for high rankings in the Pure Running Half Marathon Series. Of the local entrants, David Proctor (Willowfield Harriers), Chris Denton (Springwell Running Club), Derek Somerville (Omagh Harriers) and Chris Collins (East Antrim Harriers) are the likely top finishers. Chris Denton and Derek Somerville should be the leading NI runners, having clocked 1:19:35 and 1:20:11 respectively at the Omagh Half Marathon. Regular parkrun attendee David Proctor, who has completed sub three hour marathons in London and Belfast this year, will also be aiming for a high placing; Chris Collins ran a personal best of 1:23:45 at the Decathlon HM in April 2013, but has been unable to match that at the Carlingford and Ards Half Marathon events. Kelly Neely (City of Lisburn AC) will be the top Northern Ireland female to take to the start line and should be the leading local lady; infact, it will be interesting to see how the former International middle distance athlete fairs against the WPFG competitors, after enjoying an exceptional start to her longer distance ‘career’. Kelly has achieved podium places in every race she has entered this year, which included excellent victories in the Active Antrim 5 mile and Portaferry 10 mile road races, as well as runners up spots at the Half Marathon distance in Larne and Ards. Other top Northern Ireland ladies will include Fiona Johnston (Unattached), Susan Smyth (Dromore AC), Ita Kelly (Omagh Harriers), Janice White (Unattached), Mary Mackin (Dromore AC), Penny Duncan-Lindsay (East Antrim Harriers), and Claire Forth (Unattached). Also on Sunday 4th August 2013, a host of talented runners attached to Northern Ireland clubs will travel across the border to Lifford, County Donegal (Ireland) for the Riverine 10k road race. The event, which is renowned for its fast and flat course is hosted by Lifford AC. Kenyan athlete Freddy Sittuk, who has previously represented City of Derry AC, is expected to be one of the top participants. The Belfast City Marathon podium finisher will be joined by AAI 10,000m silver medallist Eddie McGinley (Annadale Striders) and Foyle Valley AC duo Keith Shiels and Scott Rankin, who will be hoping to continue their impressive run of personal bests. Declan Reed (City of Derry AC) and winner of last week’s NFU Mutual 5 mile road race, Greg Roberts (City of Derry AC) will also feature. Off the back of the weekend, popular Northern Ireland athletes Gladys Ganiel O’Neill (North Belfast Harriers), Breege Connolly (North Belfast Harriers) and Stephen Scullion (Clonliffe Harriers) are all due to participate in the Woodies DIY AAI National Half Marathon Championships in Dublin (Ireland) on Monday 5th August 2013, an event that will run in conjunction with the Rock ‘N’ Roll Dublin Half Marathon. Note: For July 2013 ‘News’ please click HERE; alternatively you can use the navigation bar at the top of the page to find July 2013 ‘News’ or any other previous month’s news.